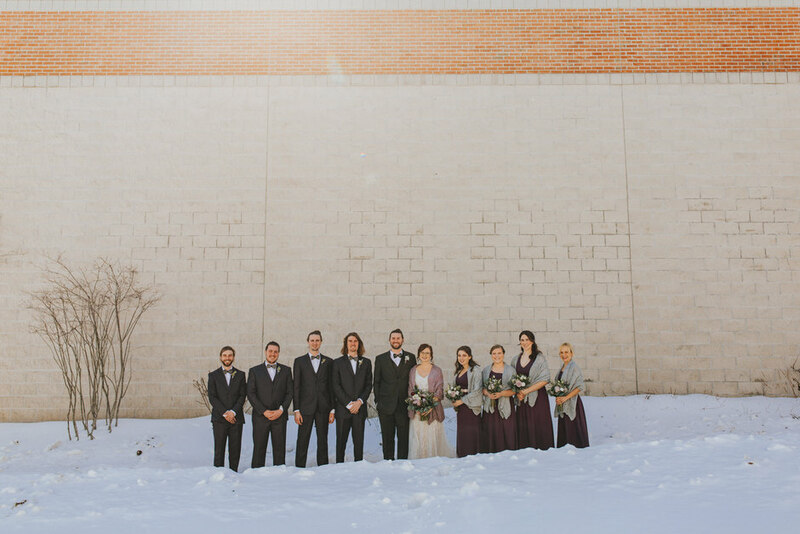 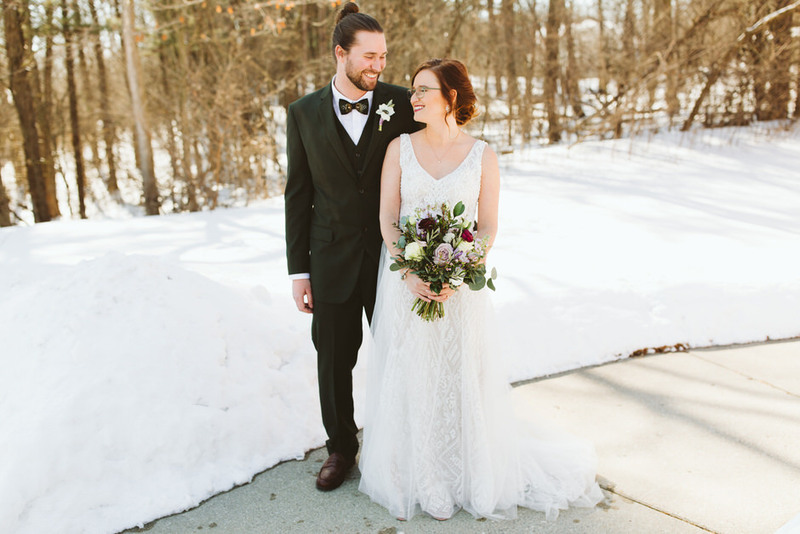 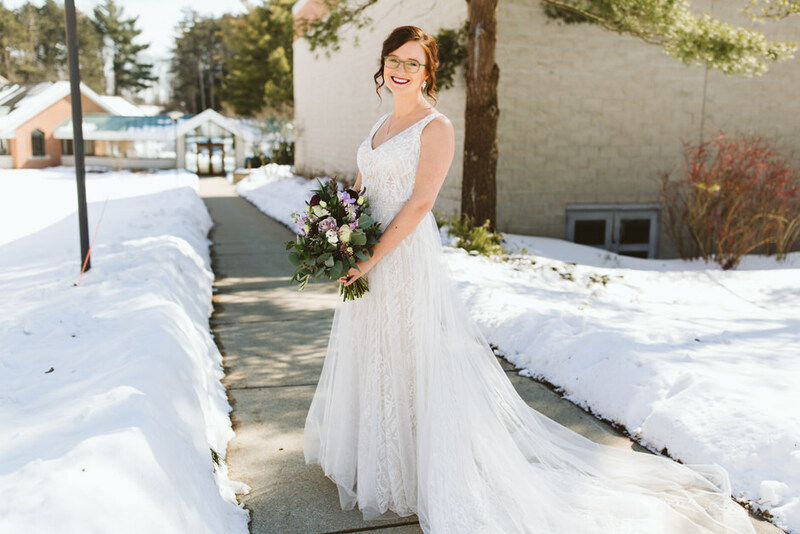 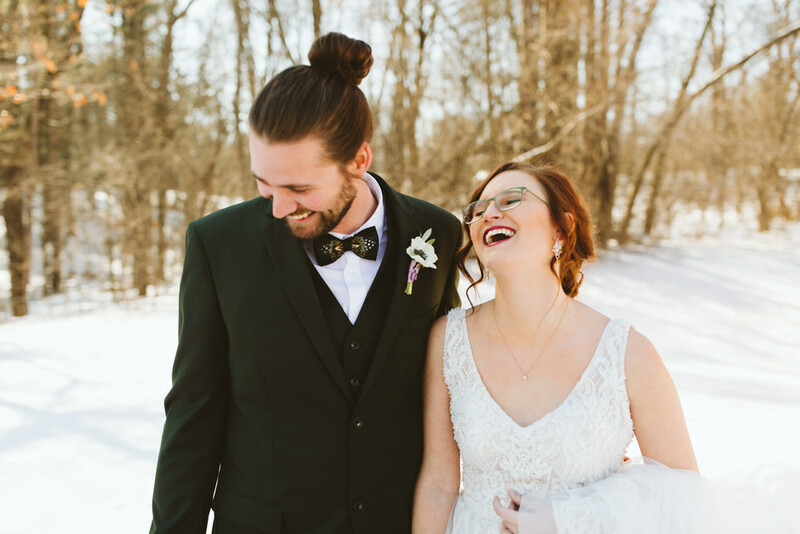 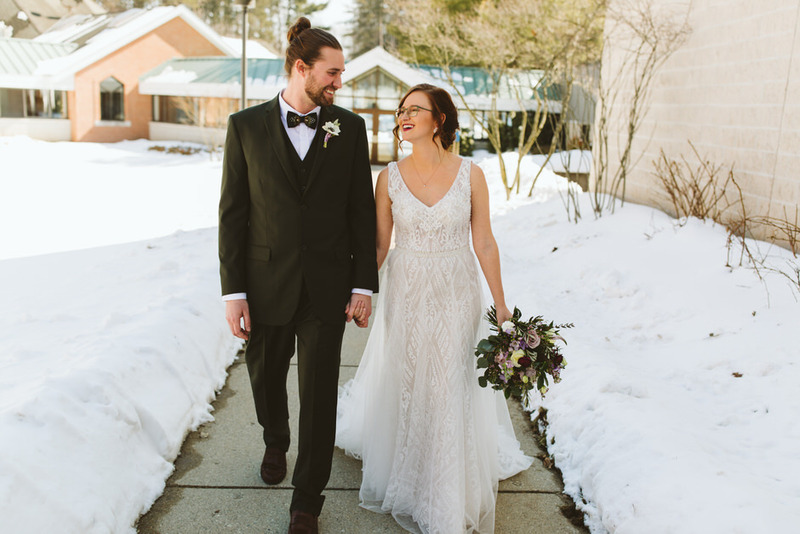 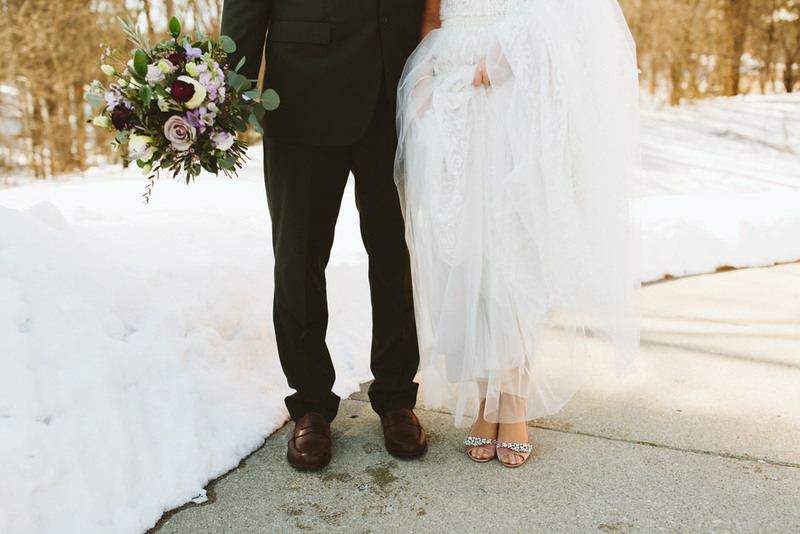 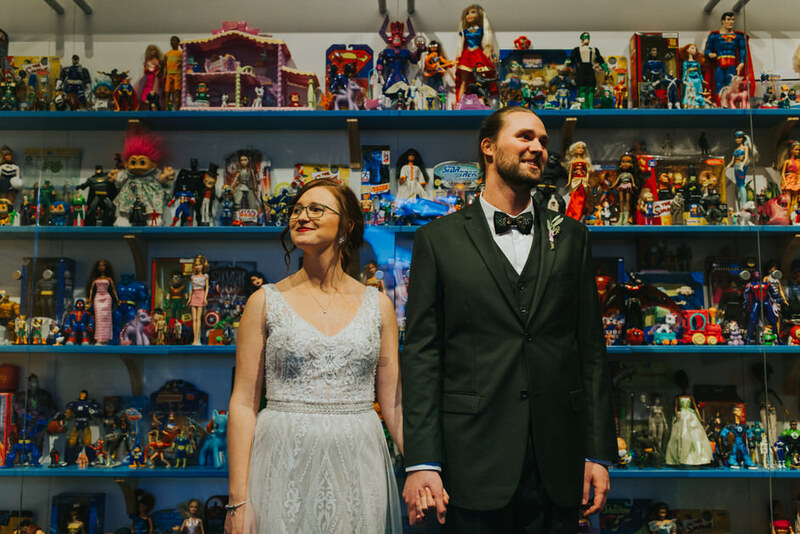 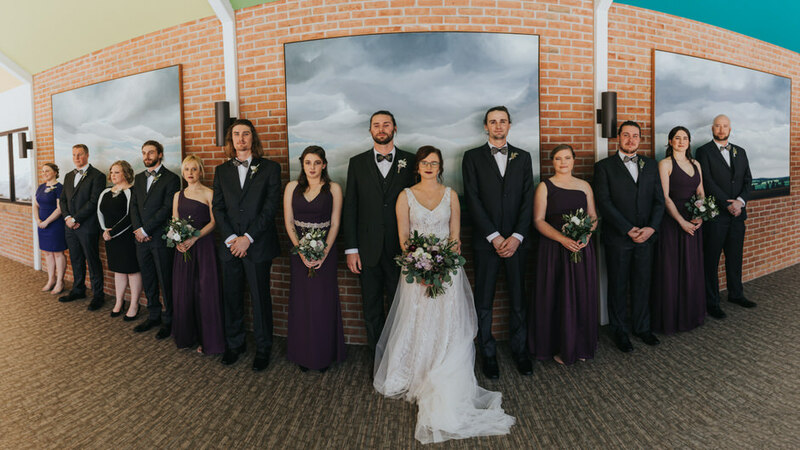 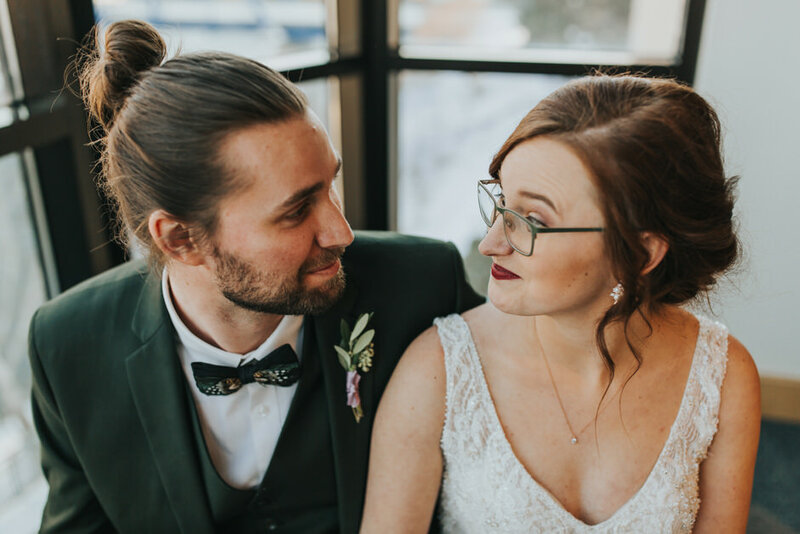 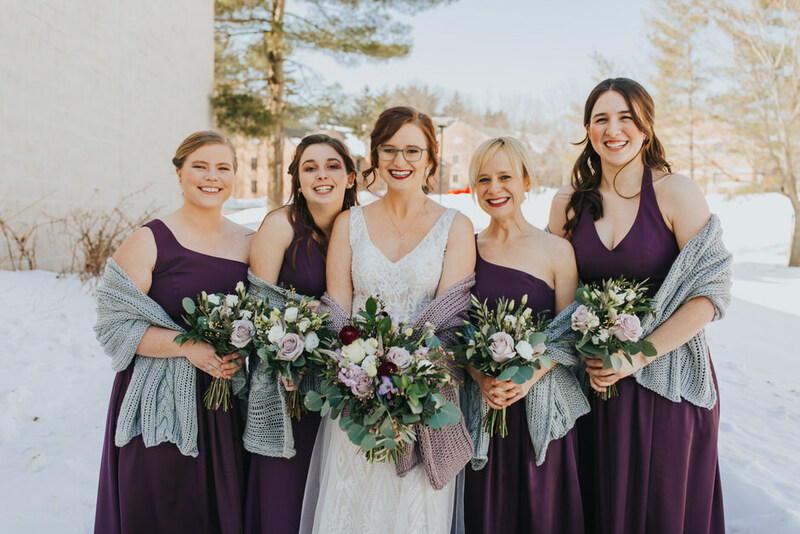 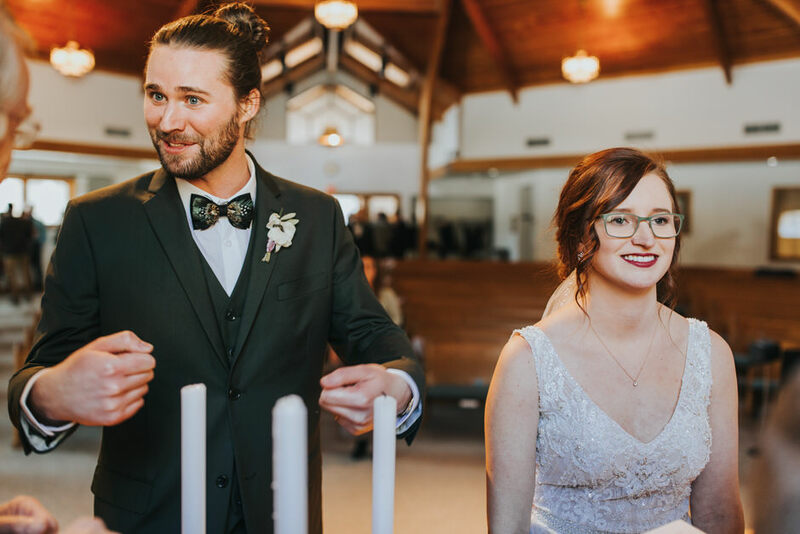 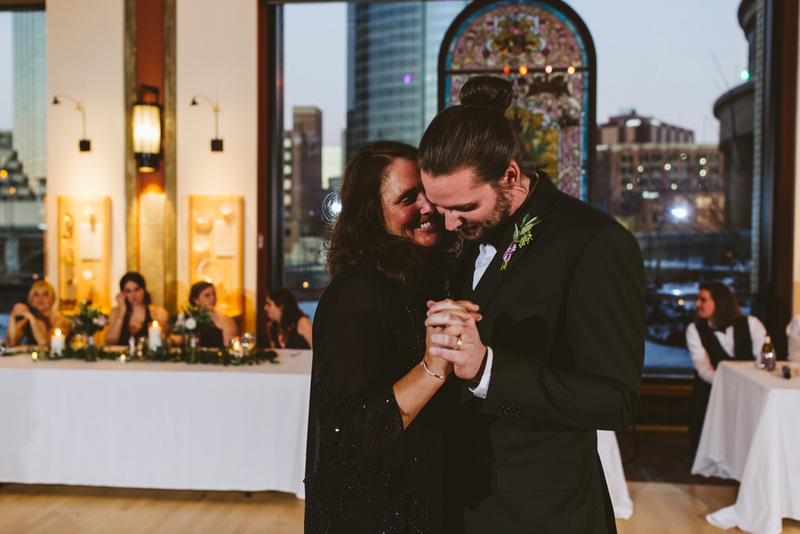 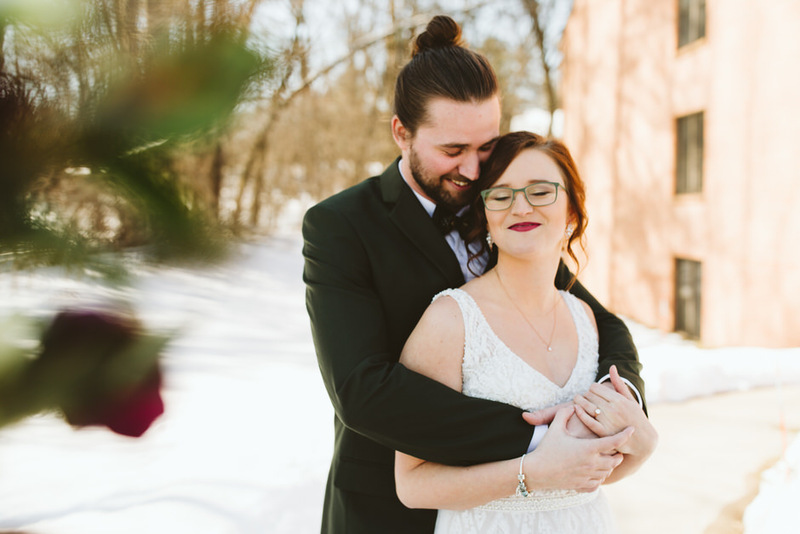 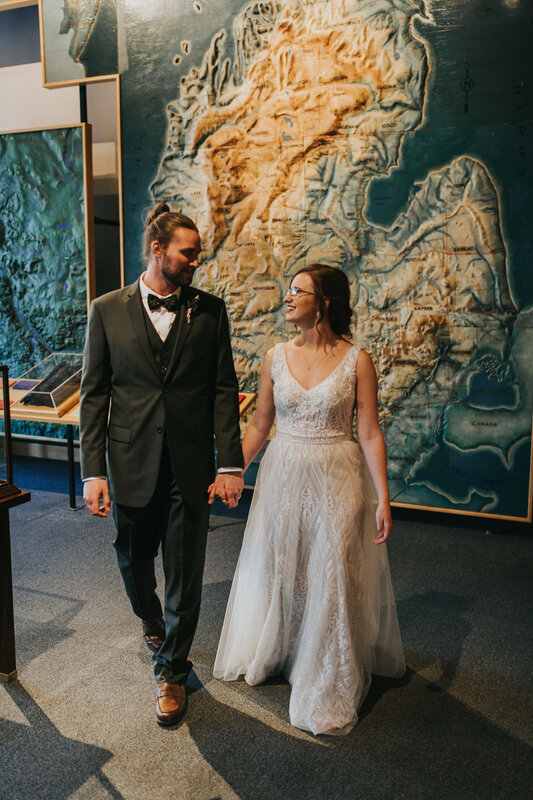 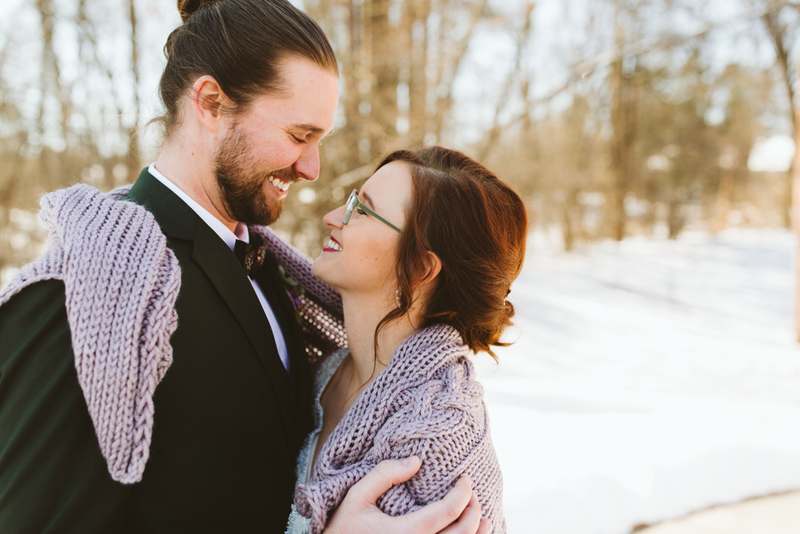 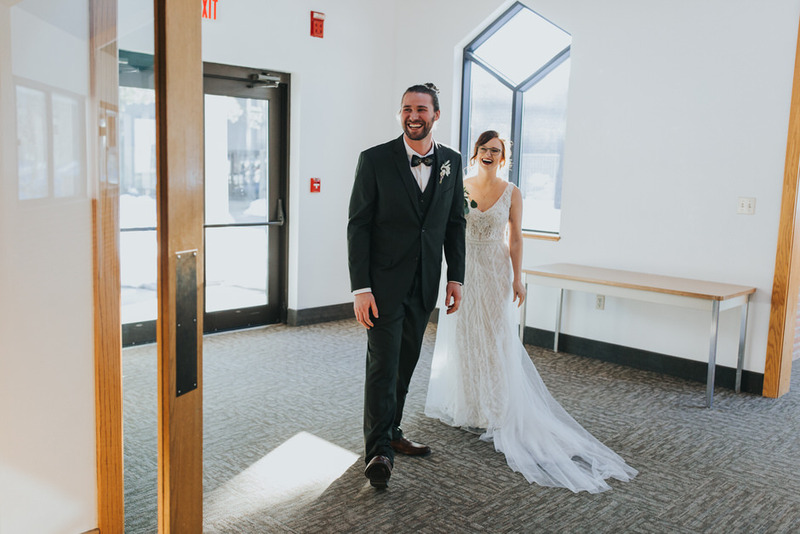 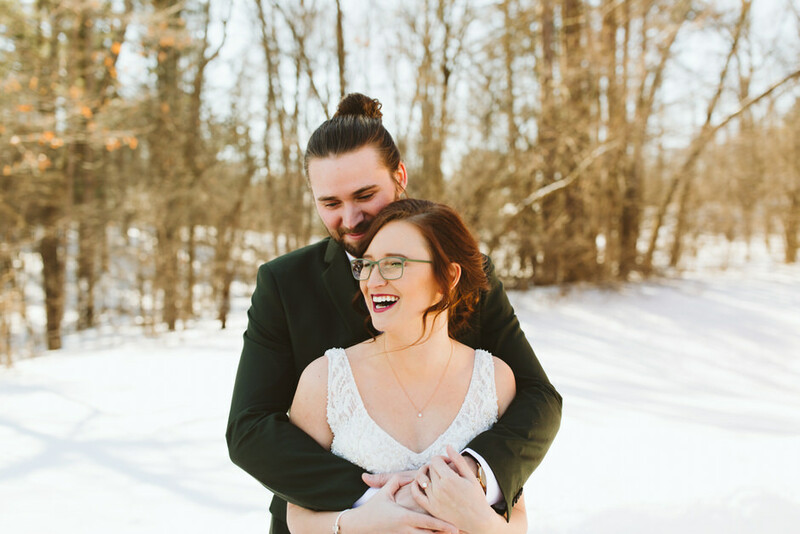 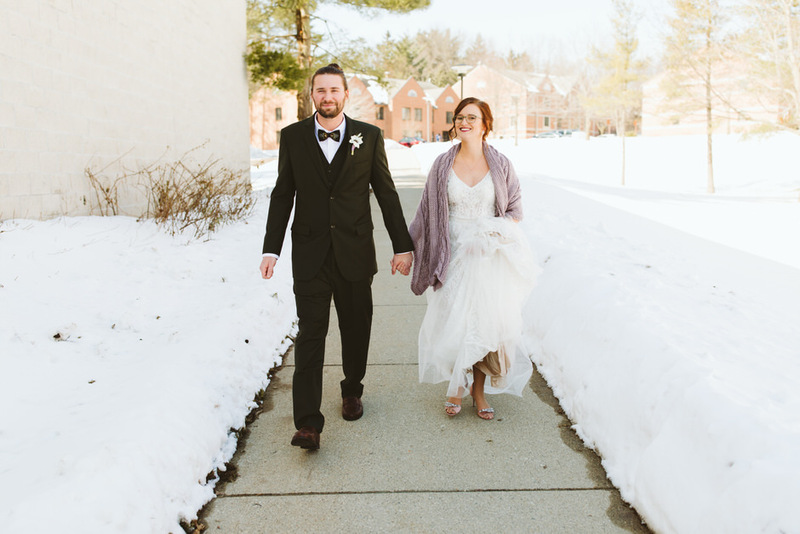 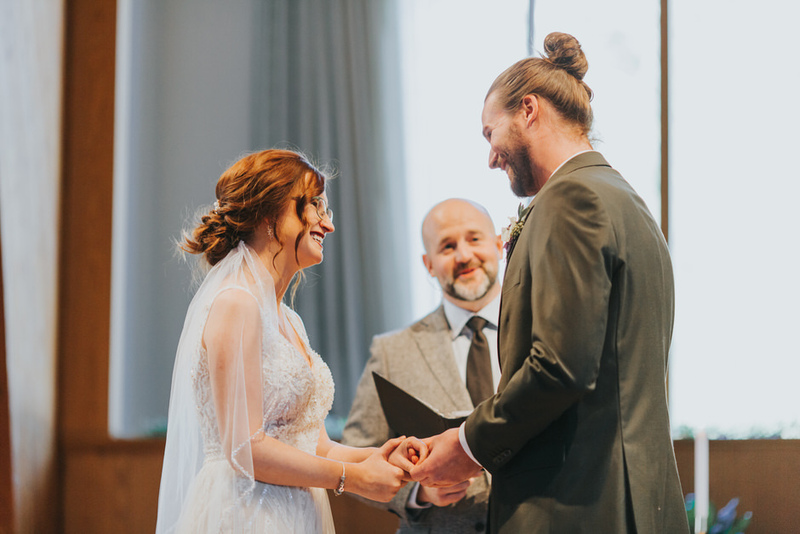 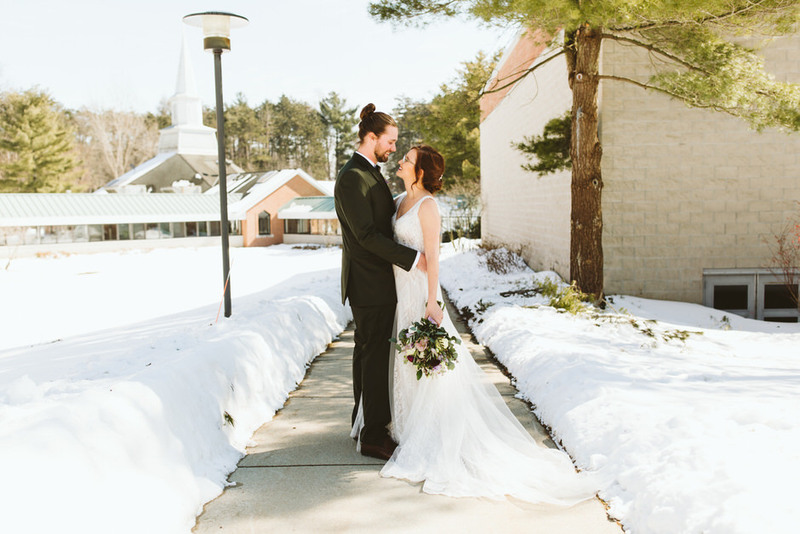 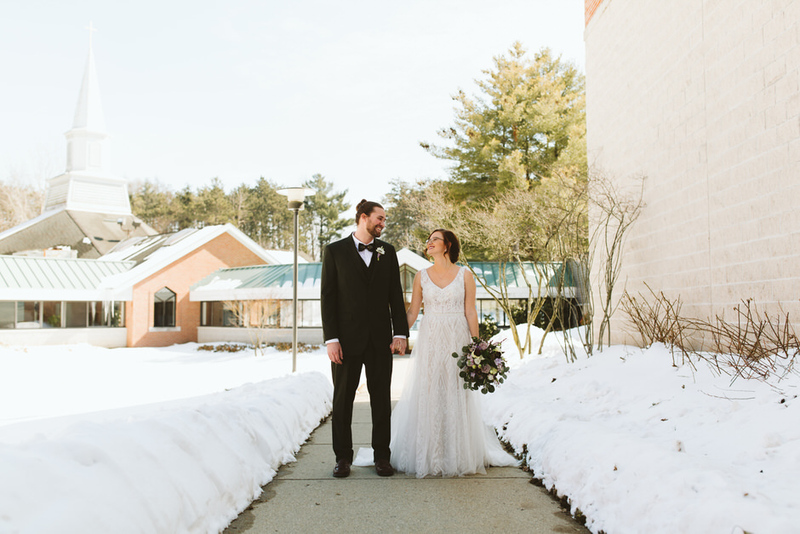 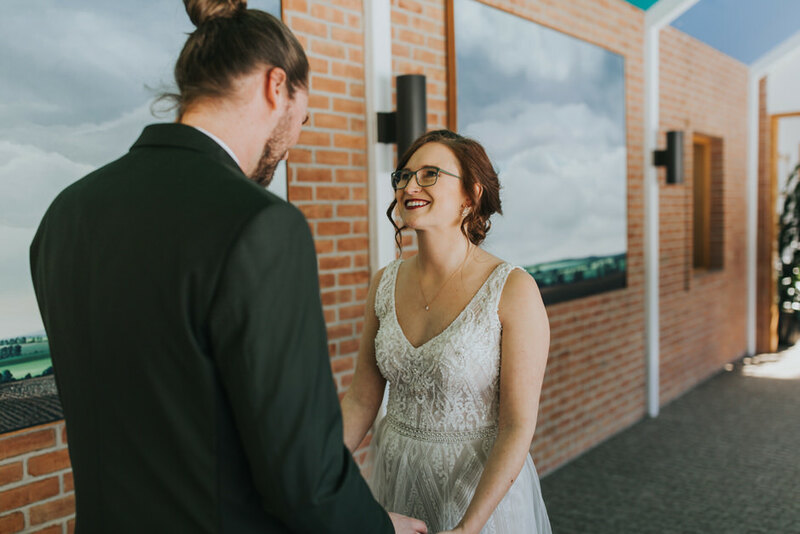 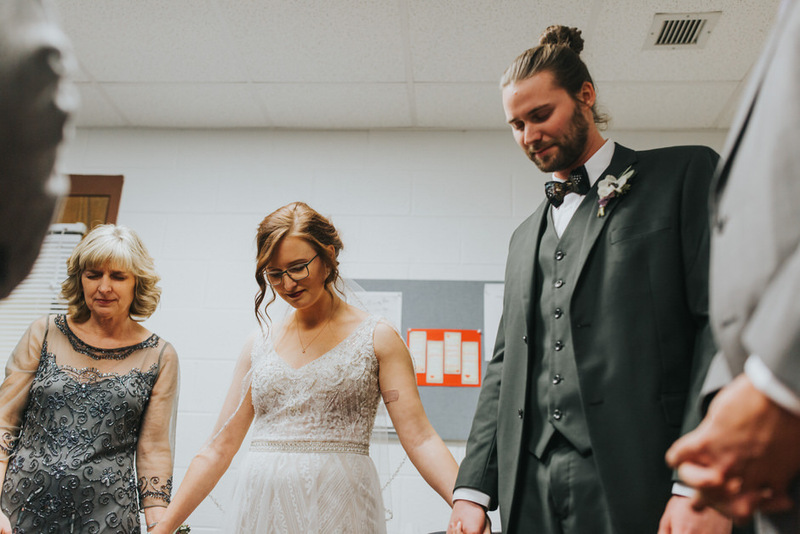 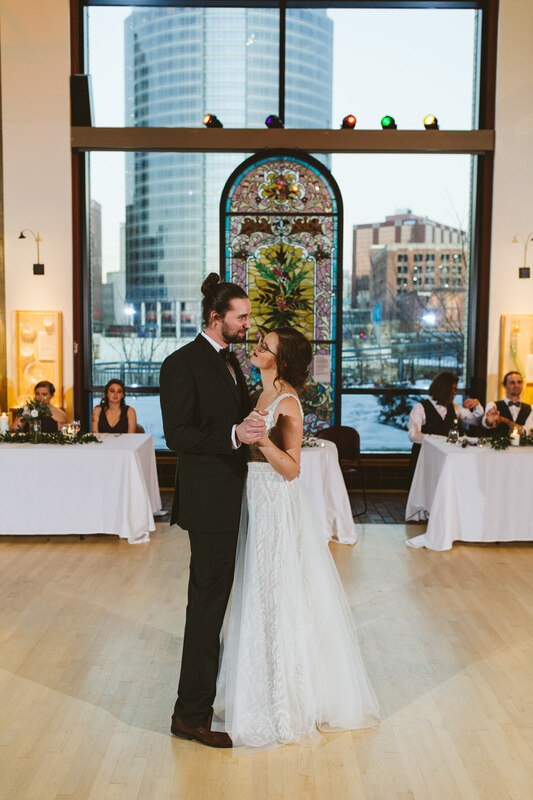 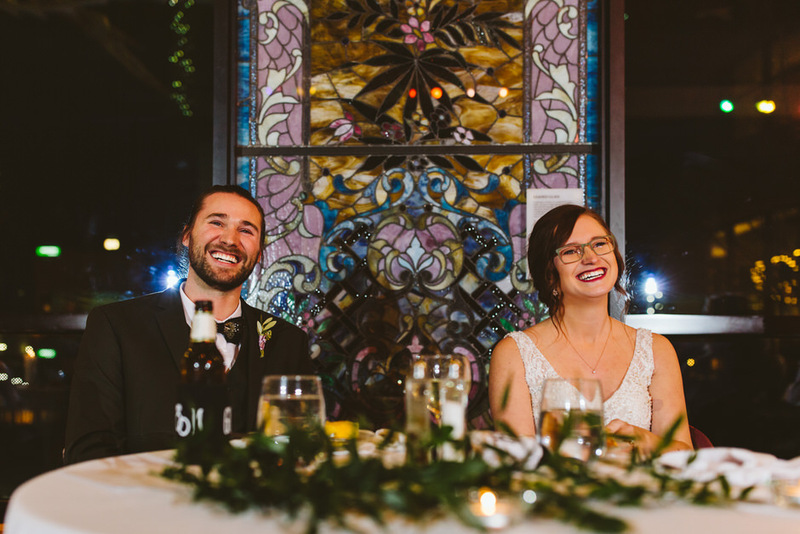 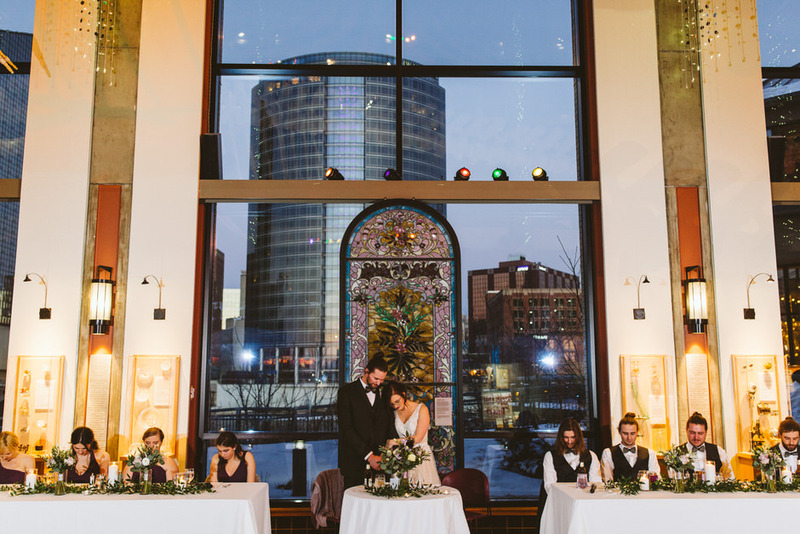 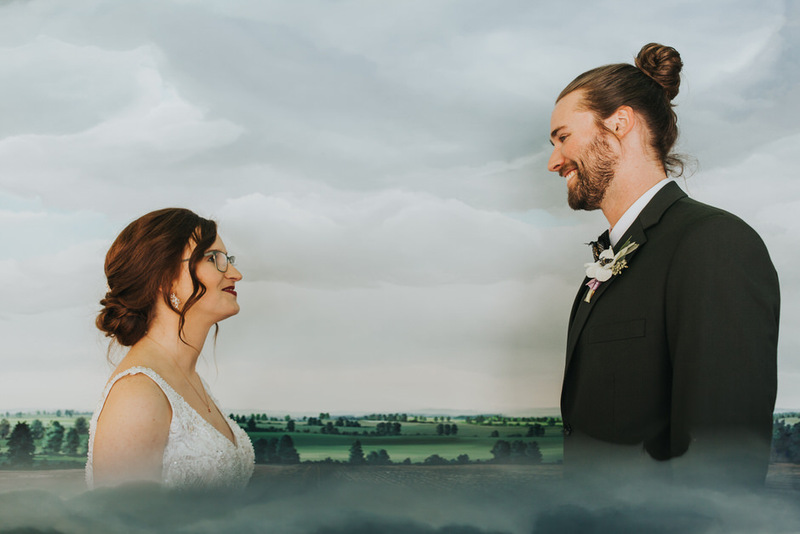 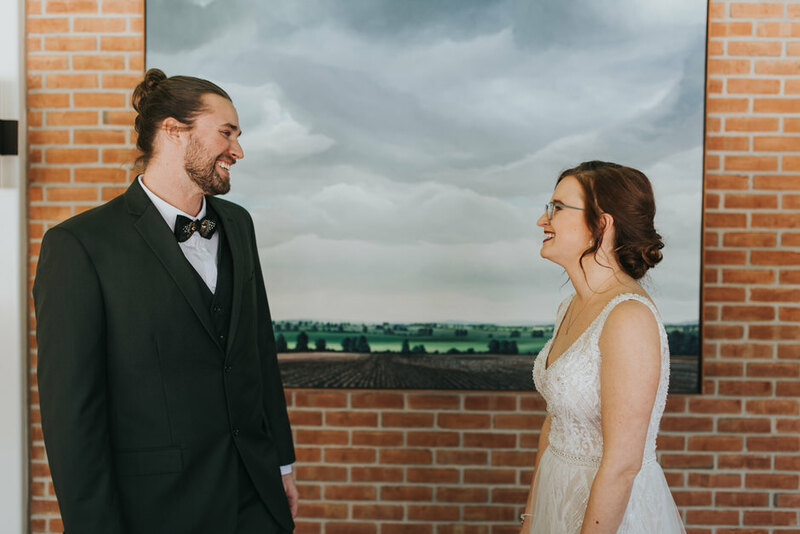 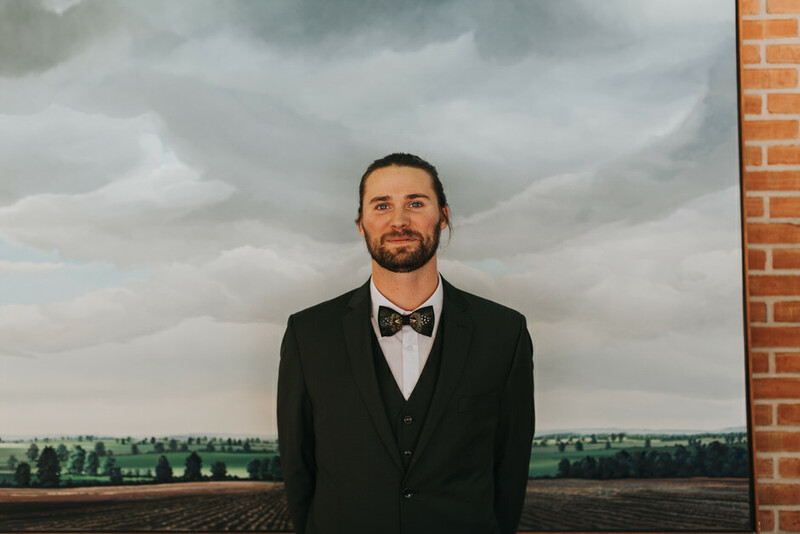 My first wedding of 2019 at the Vos Chapel in Grand Raipds and Grand Rapids Public Museum was perfection. 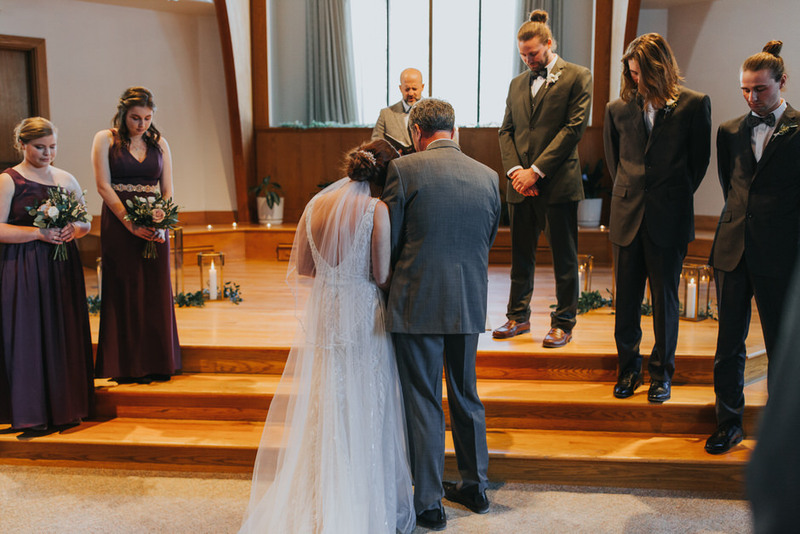 Every single person involved in this day touched it with all of their hearts and it showed. 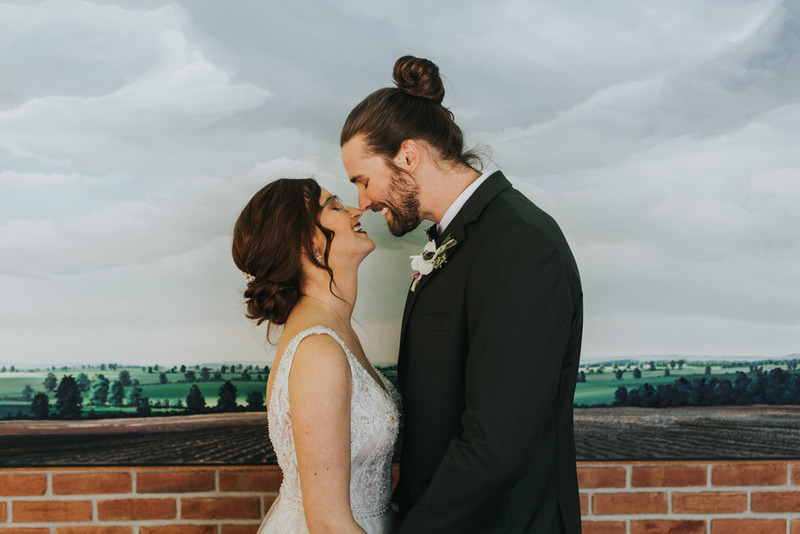 It was so much about Kate and Josh and their love story and it made my heart sing. 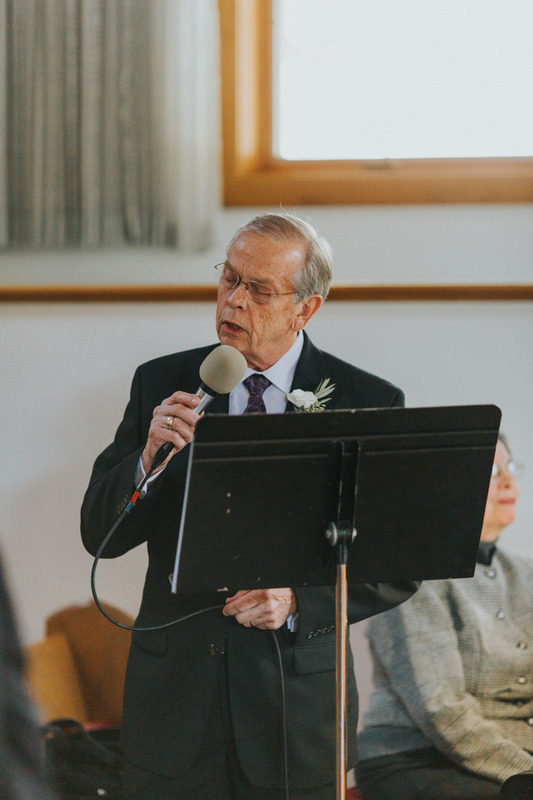 I appreciate all of the people of this day. 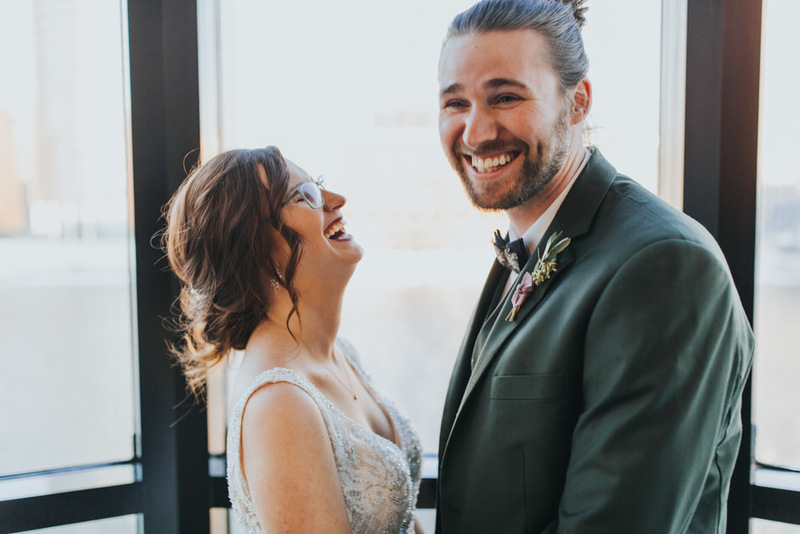 I will let Kate and Josh take it from here because they just did a better job at putting everything into words. 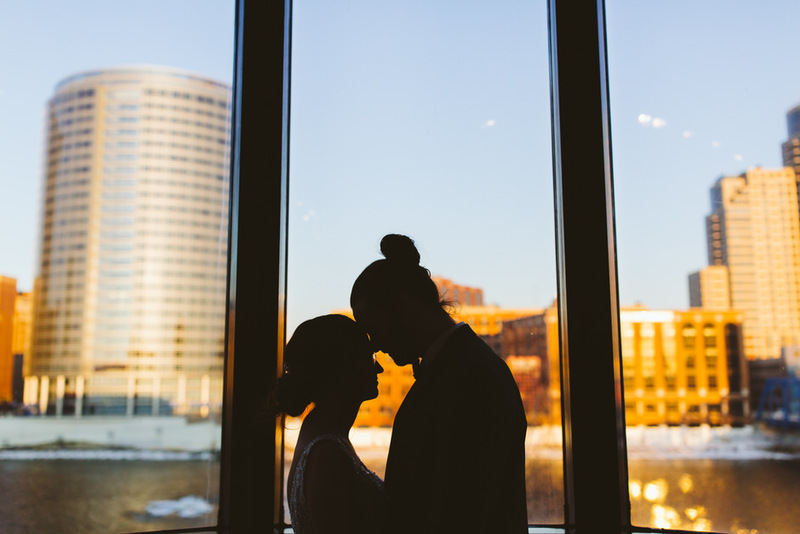 Our story began in a conference room. 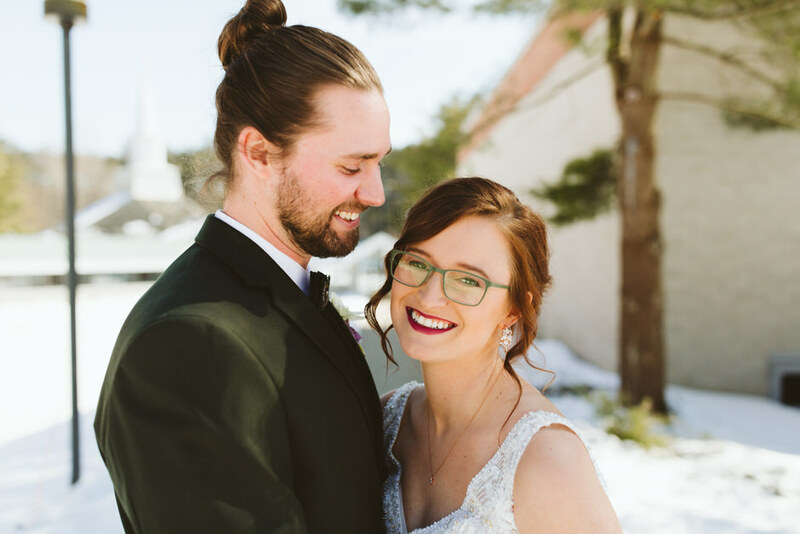 Josh was working as a software developer and Kate was working as a designer on a mutual client project for Haworth. 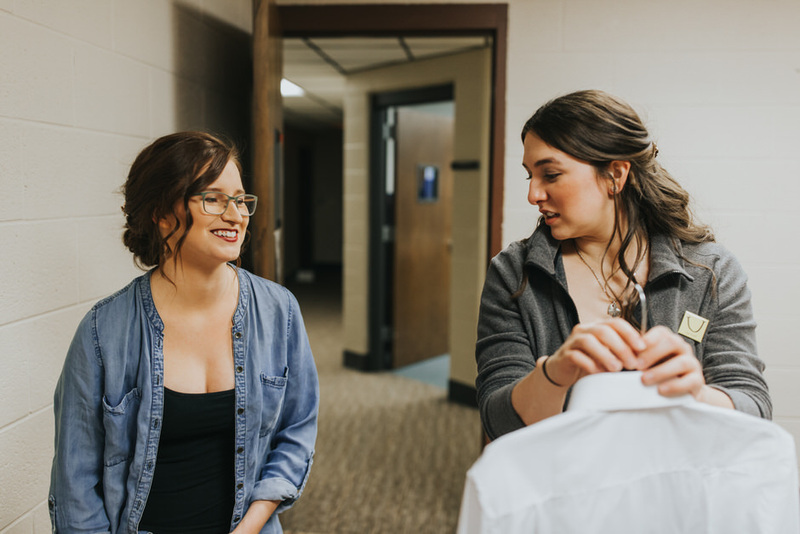 A few weeks later we ran into each other at the Pyramid Scheme where we talked about more than just work. 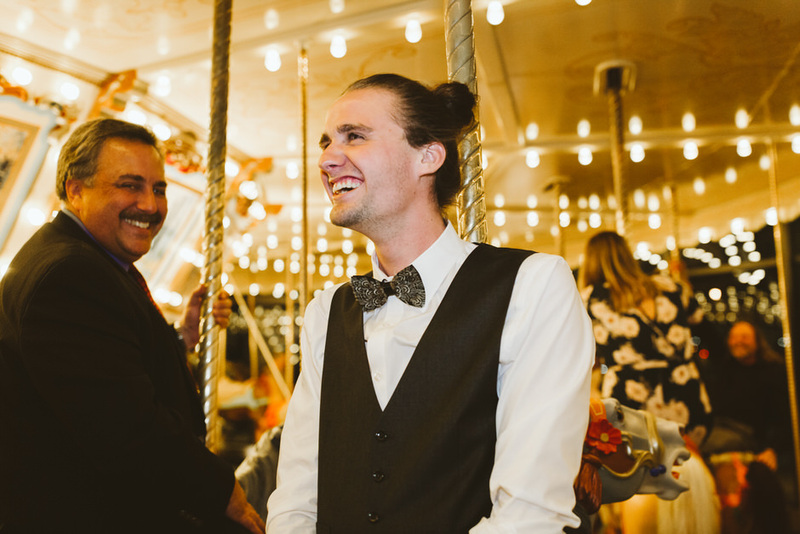 From there we had a series of awkward dates yet we kept hanging out and have been enjoying each other’s company ever since. 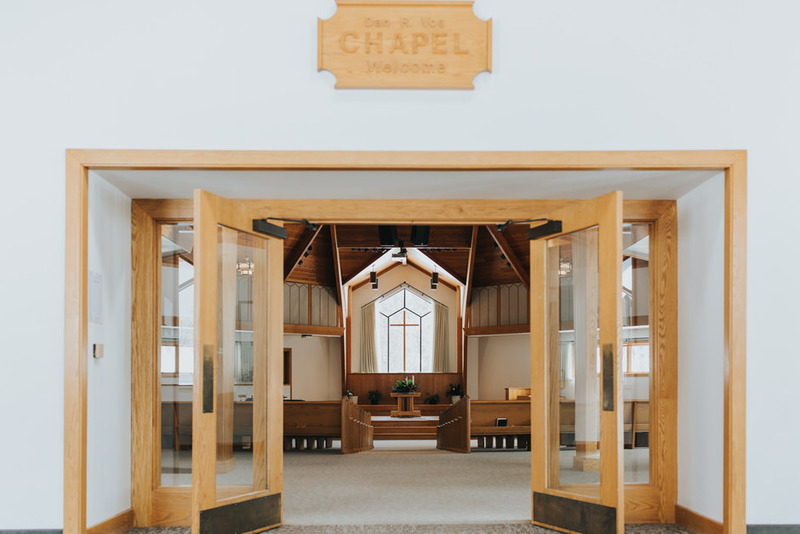 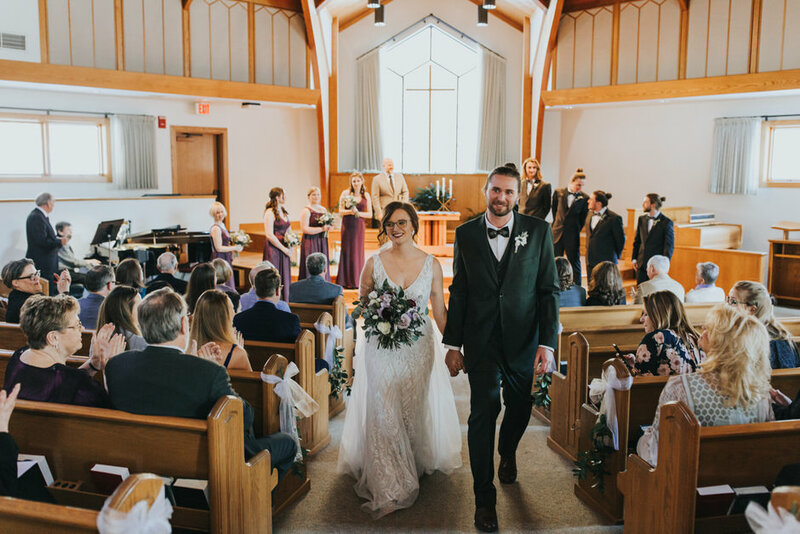 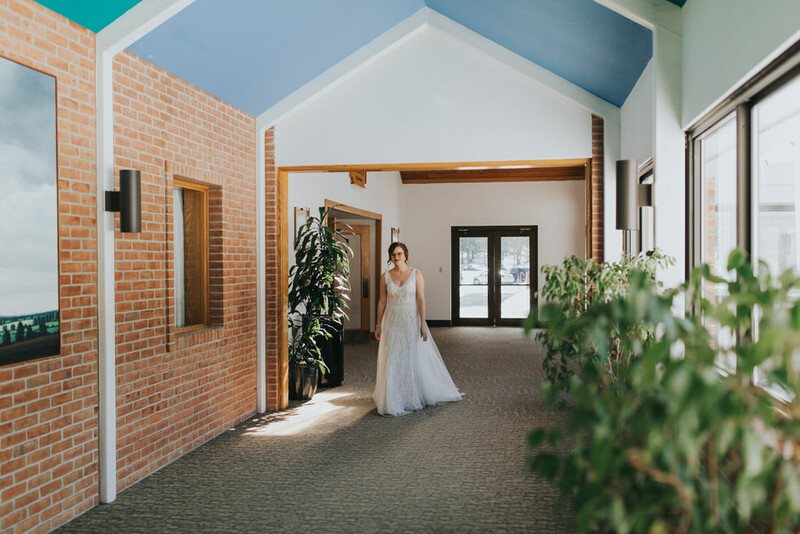 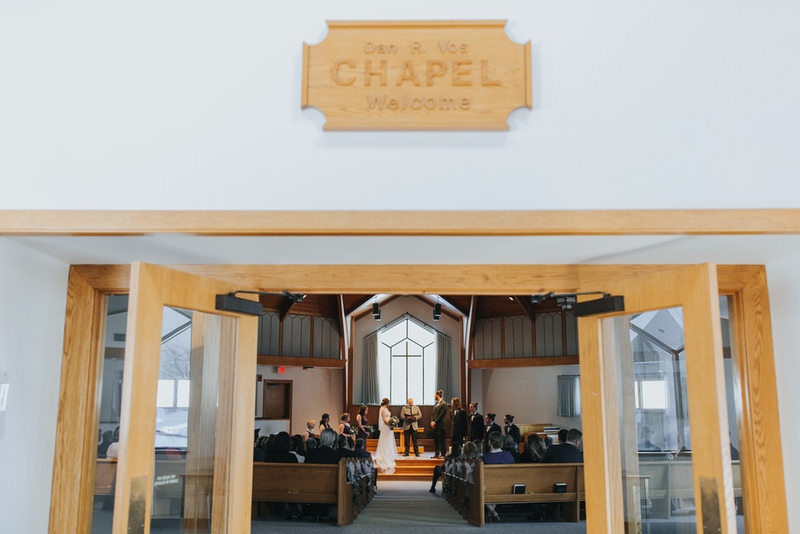 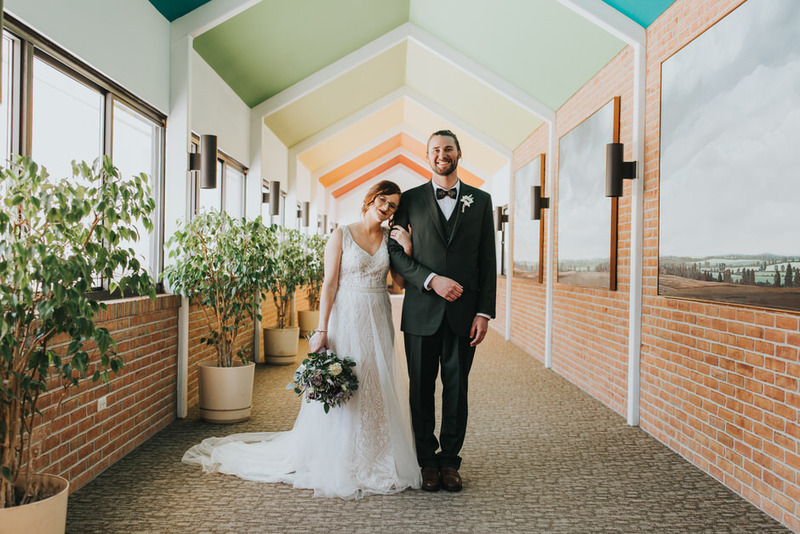 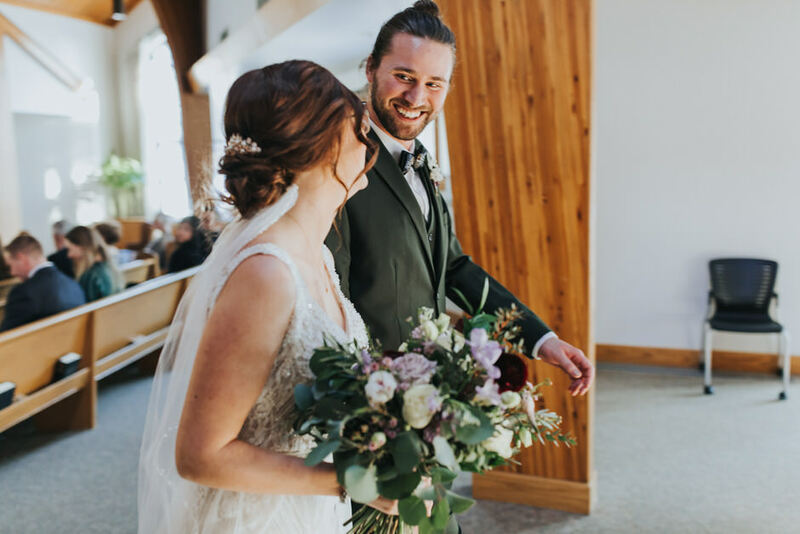 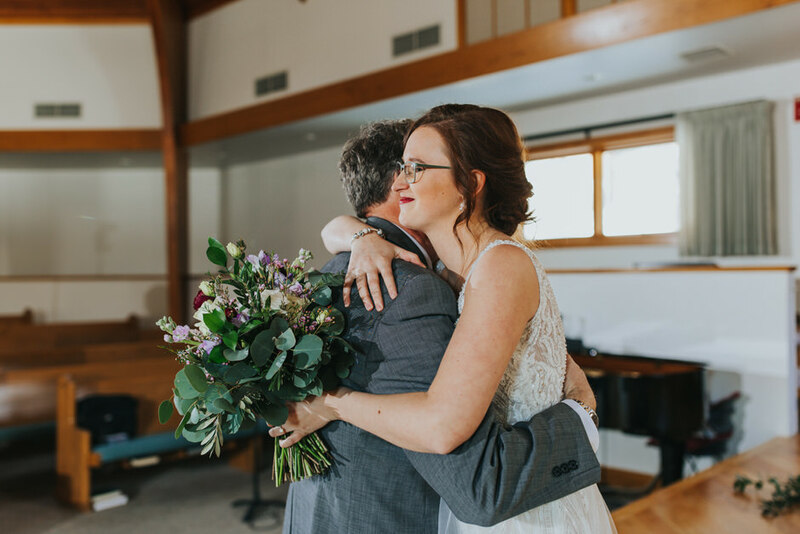 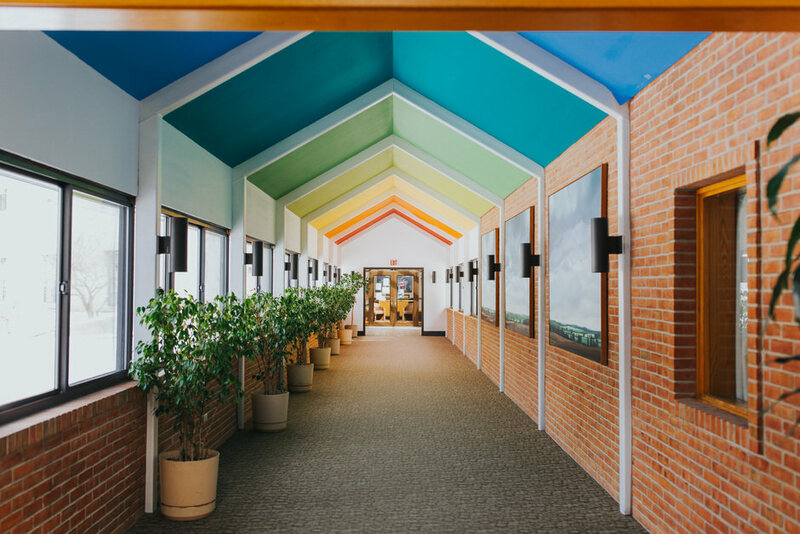 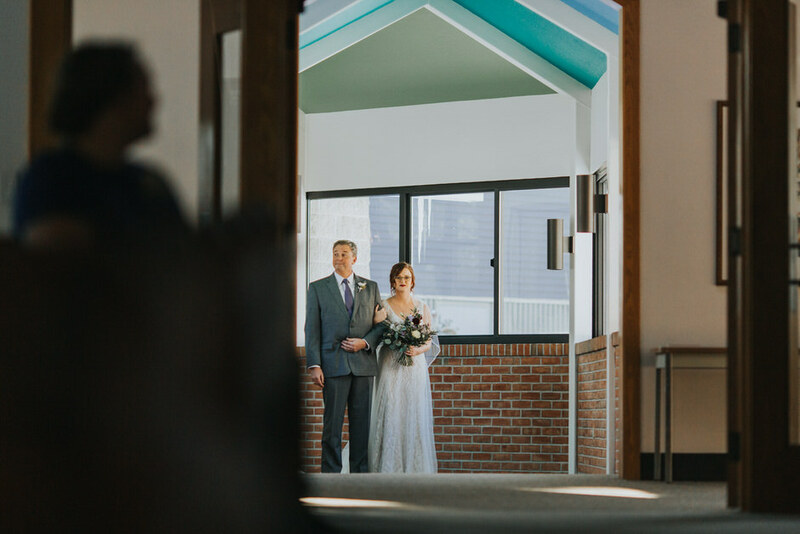 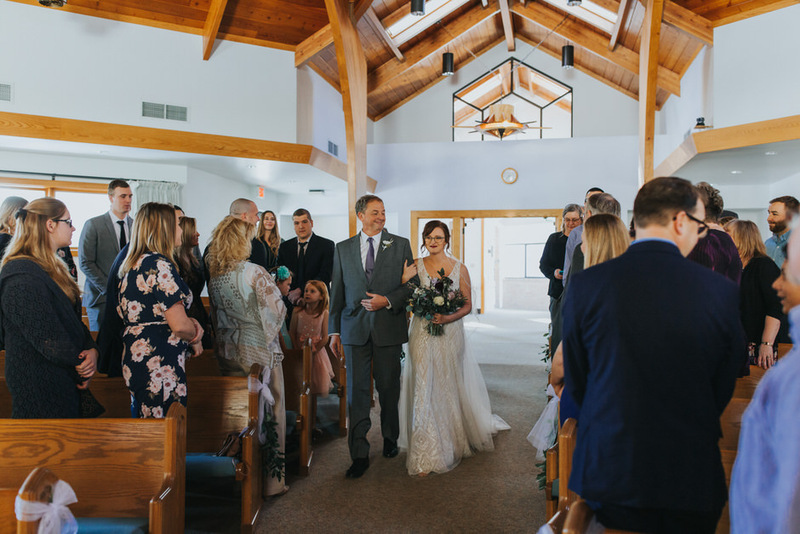 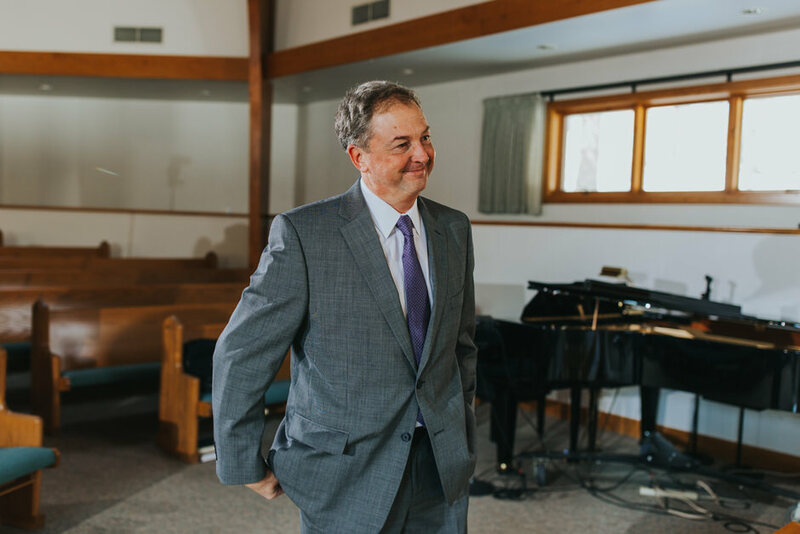 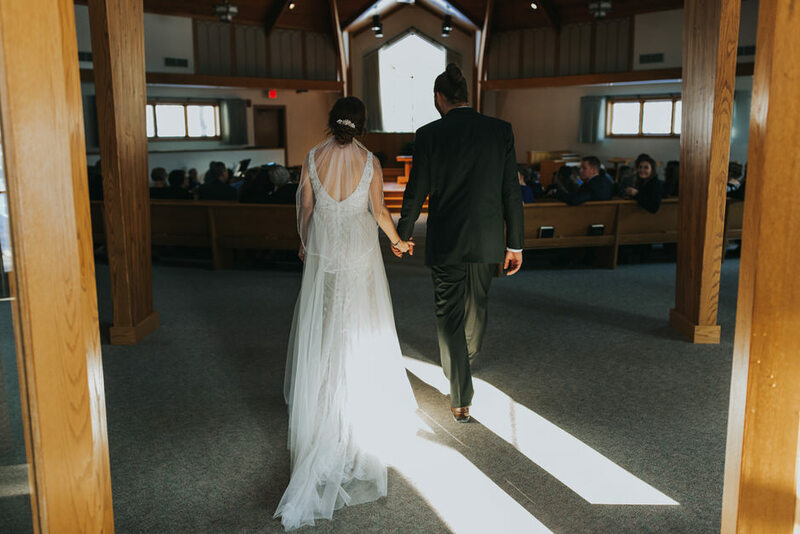 Our ceremony was at the Vos Chapel at Kuyper College, which has gorgeous lighting and woodwork throughout the space. 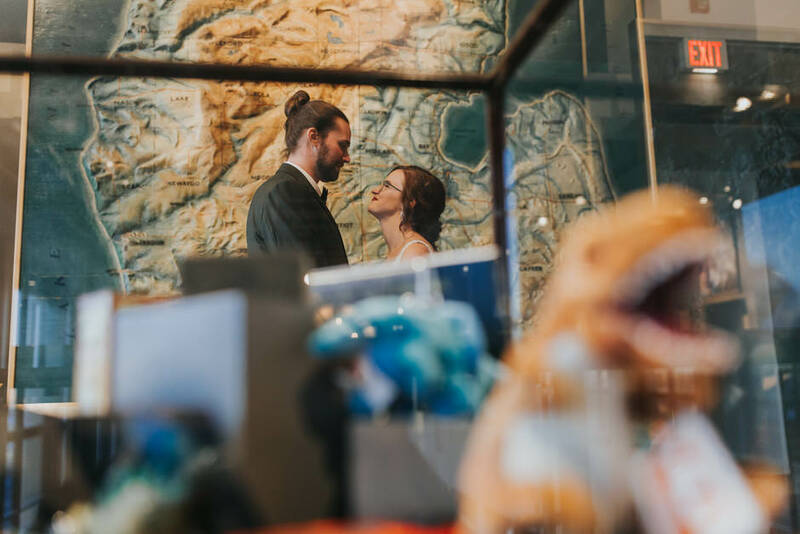 We loved it there, the staff was super nice and helpful and it was intimate enough for our smaller sized wedding. 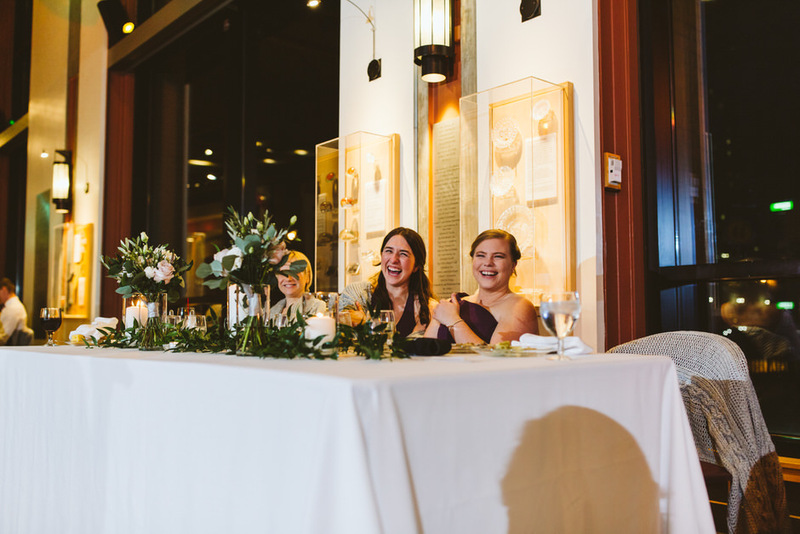 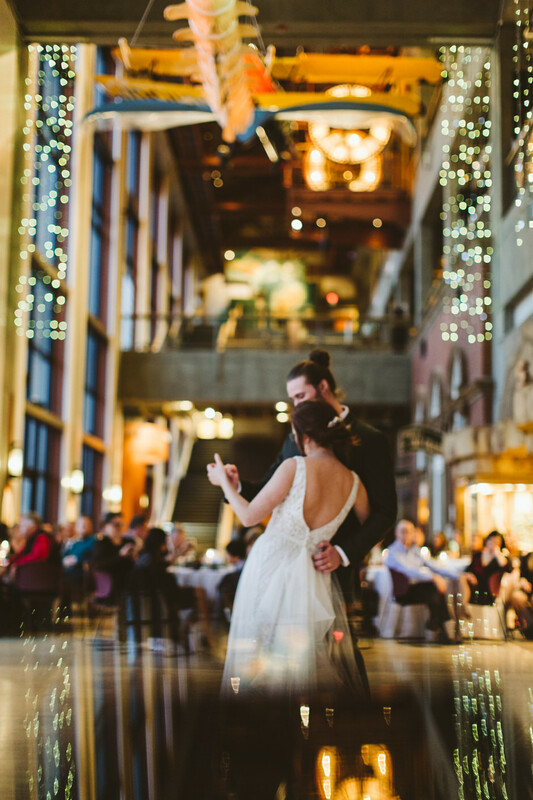 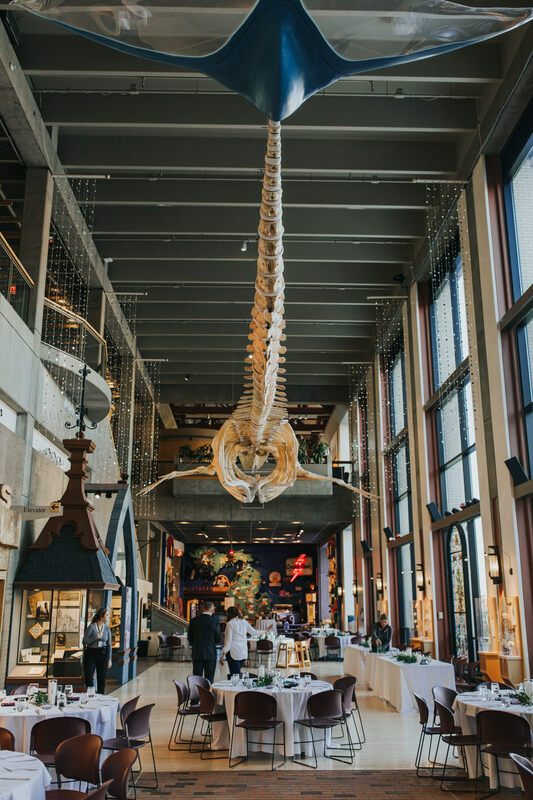 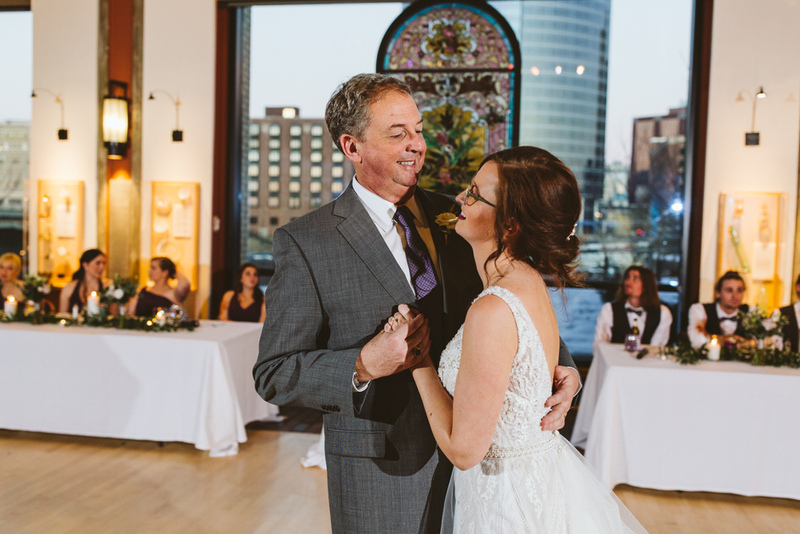 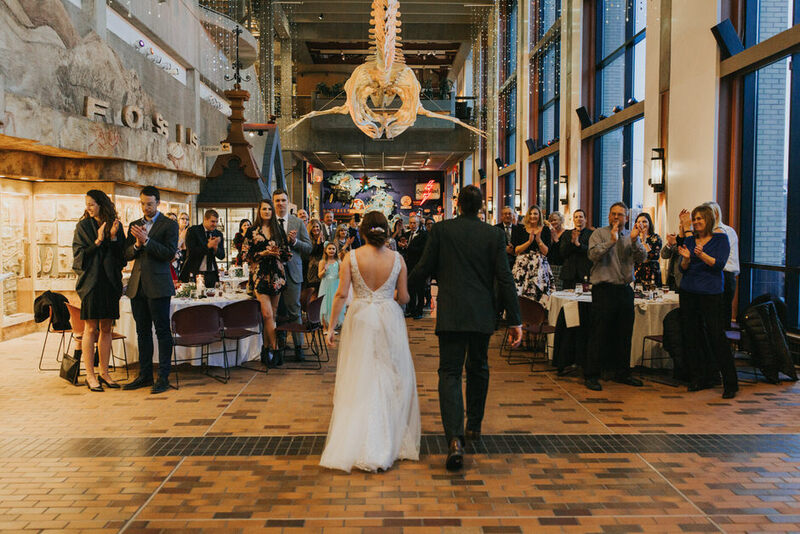 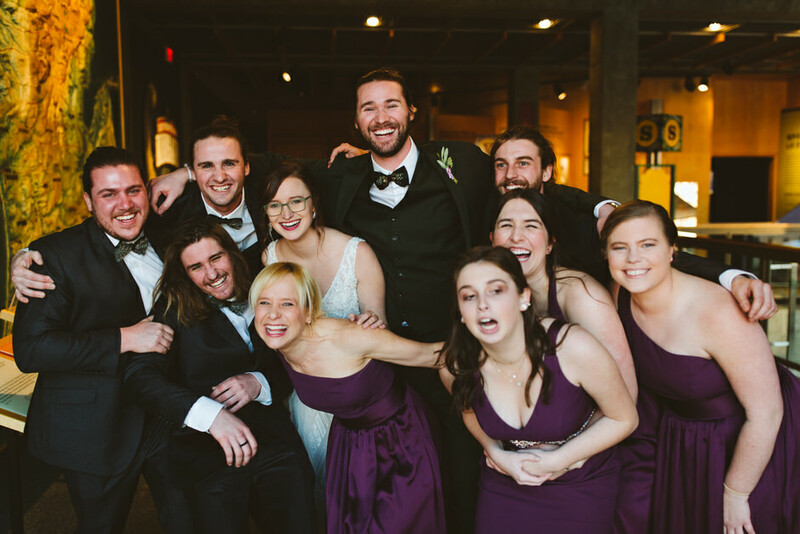 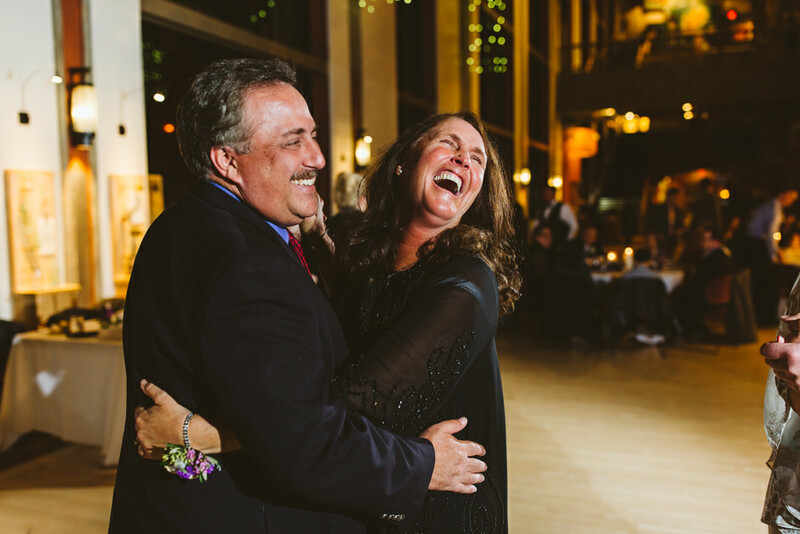 Our reception took place at the Grand Rapids Public Museum, which was an absolute blast. 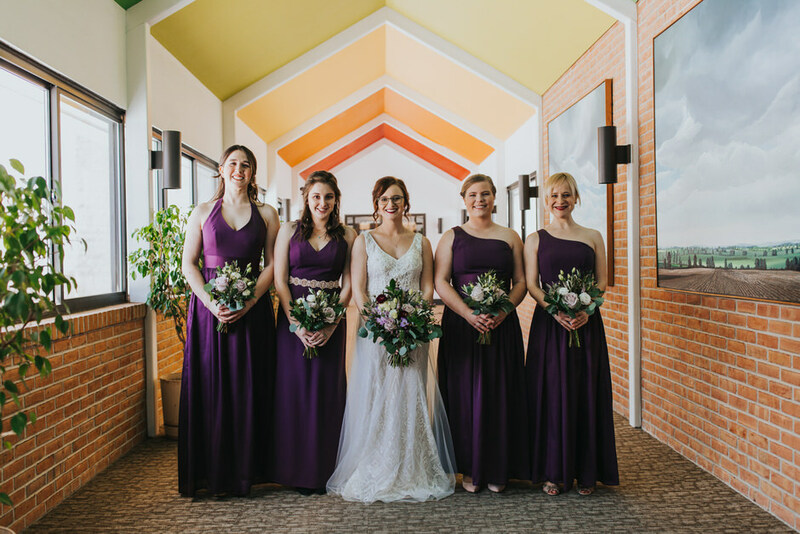 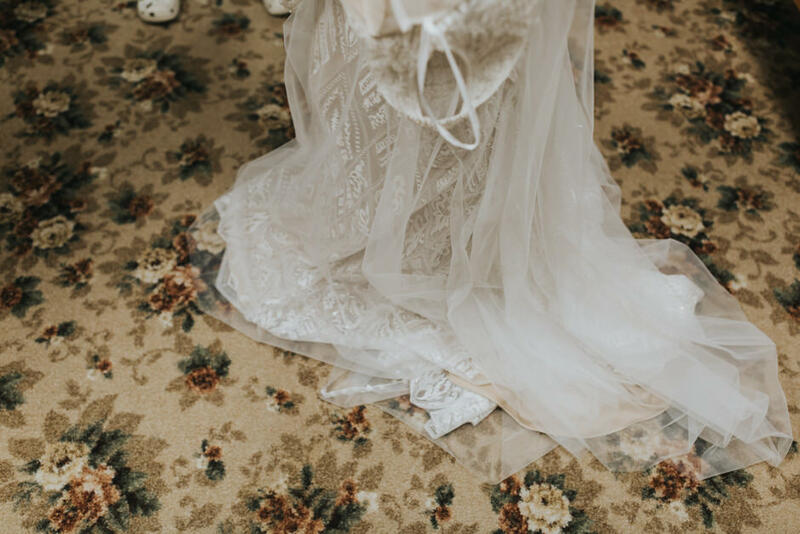 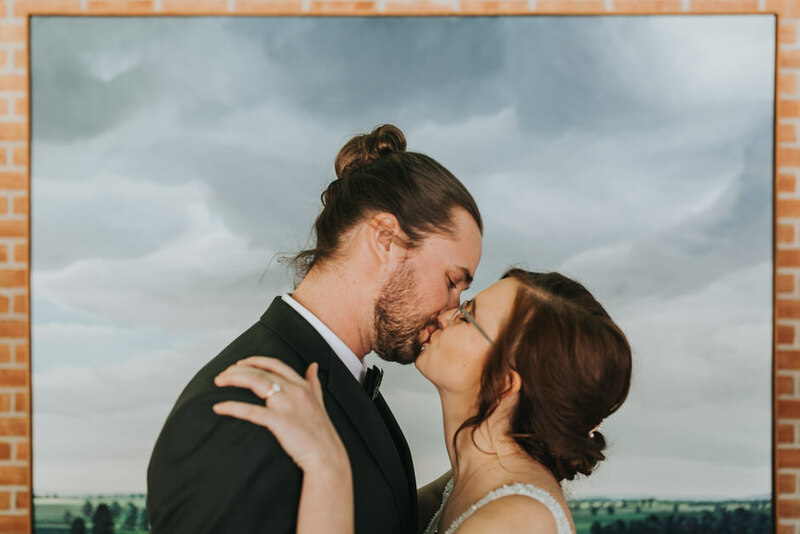 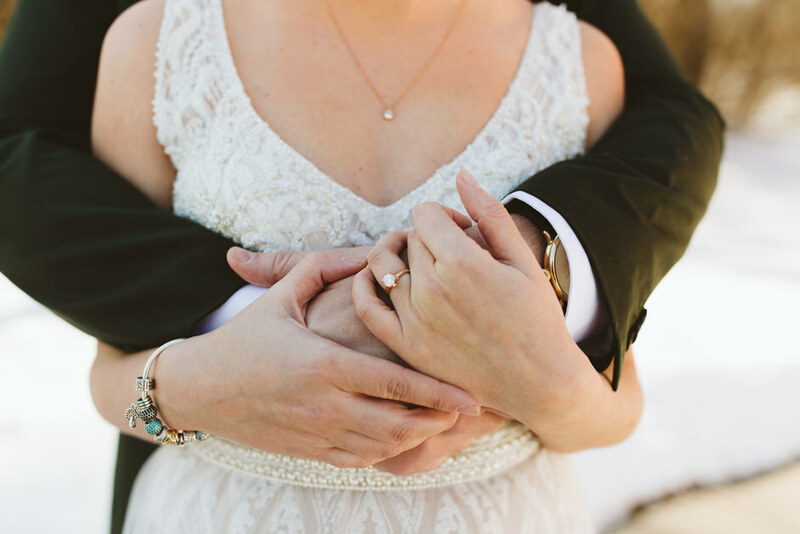 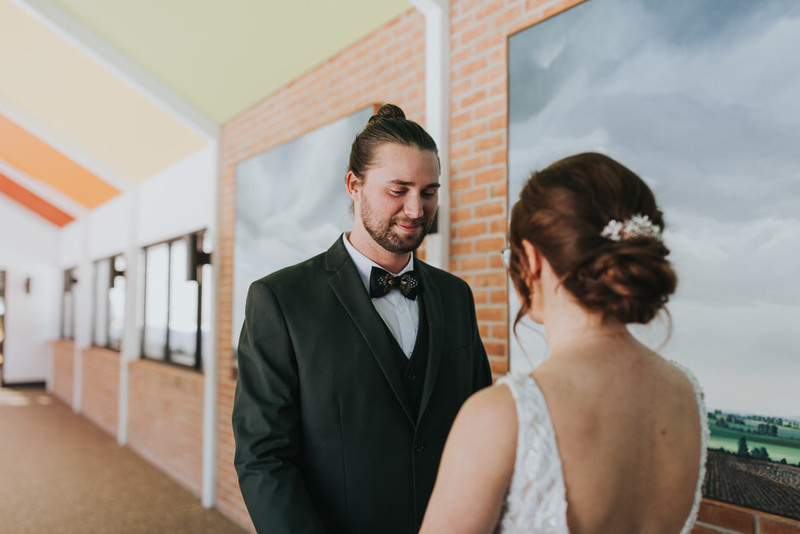 The staff blew us away with their attention to detail and the care they took in making our day feel amazing. 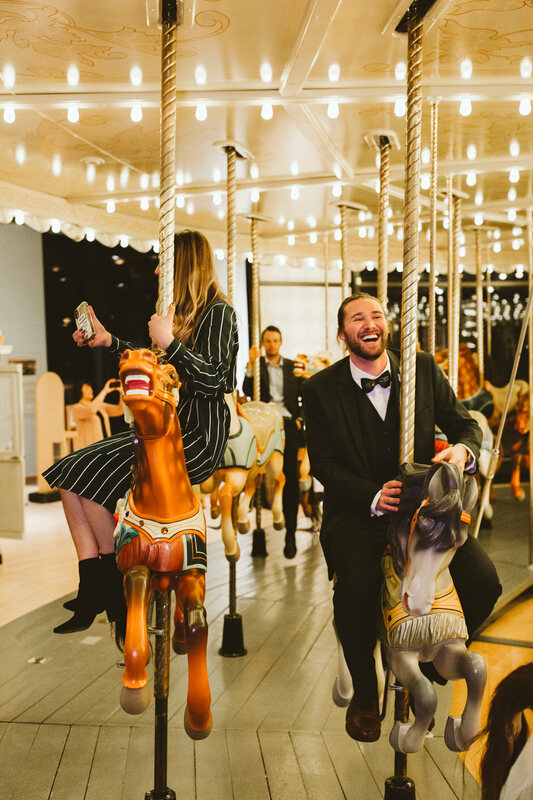 The carousel was a nice touch too! 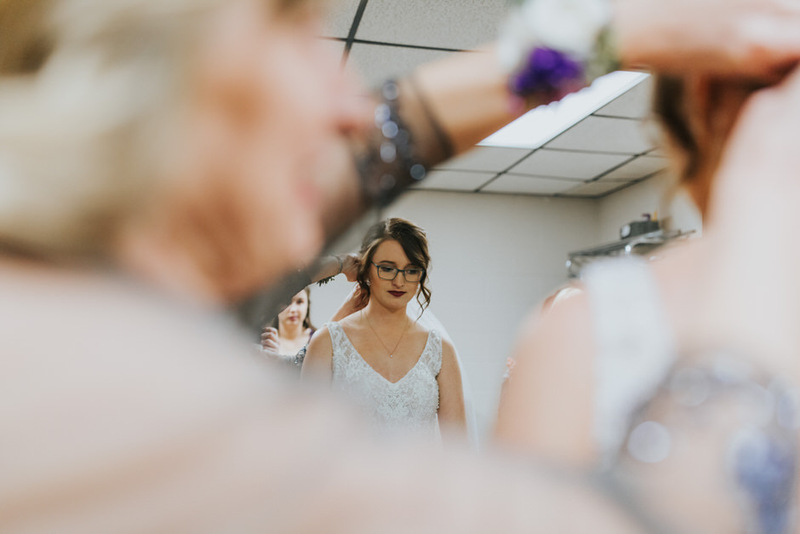 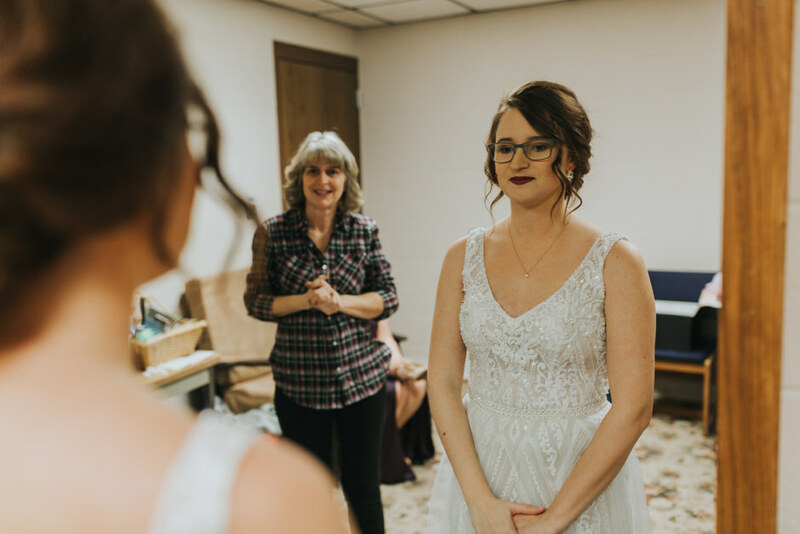 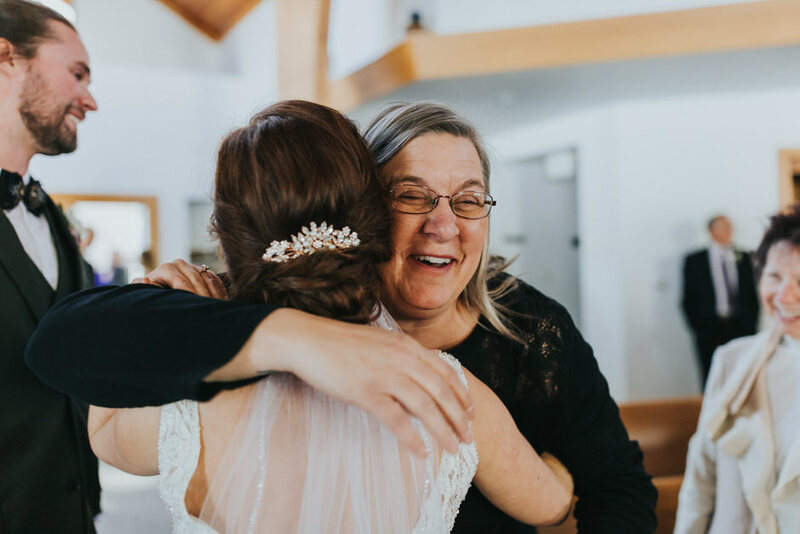 Kate, her sister, mother, and grandmother found the dress at Bridal Gallery in Grand Rapids. 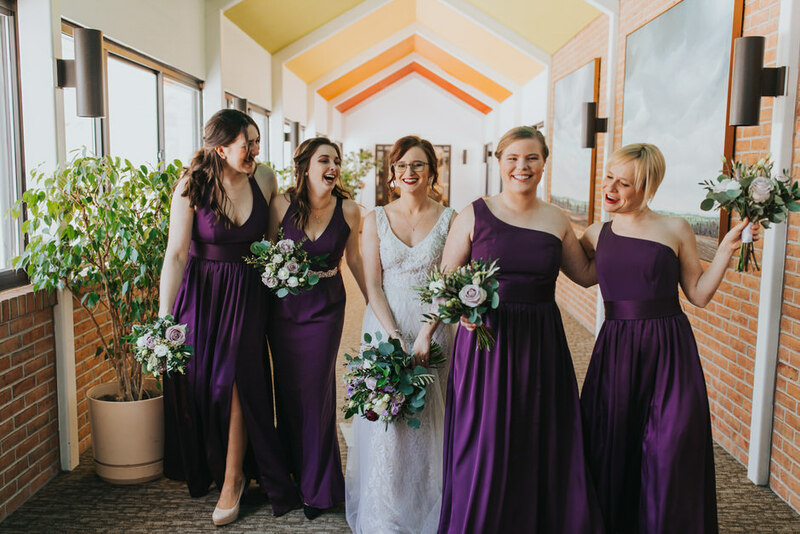 On a whim, Kate decided to try on a dress her sister picked out, even though they almost never like the same style of clothing. 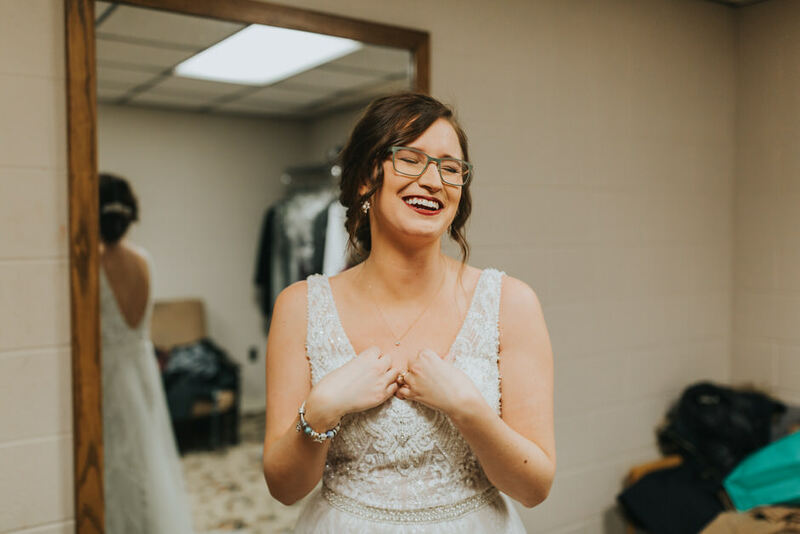 It was a good thing I tried it on because it was everything I didn’t think I wanted, but I loved it. 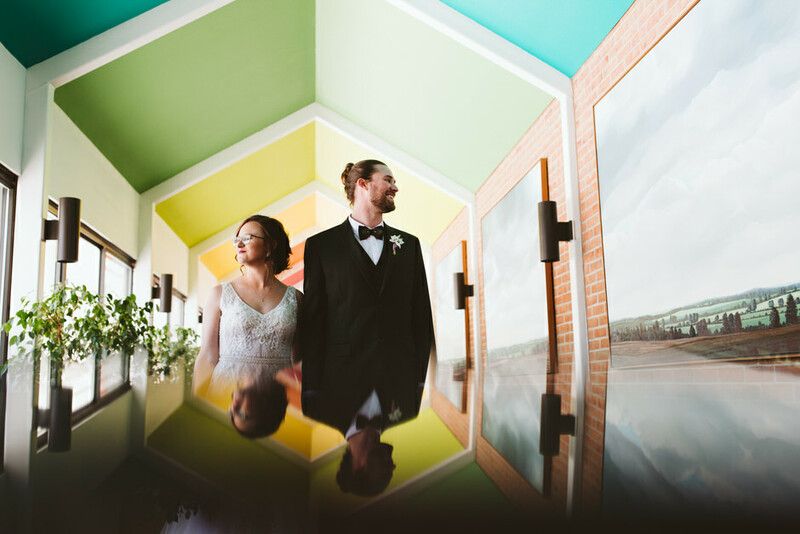 Sometimes, you just have to go outside of your norm to find something fabulous. 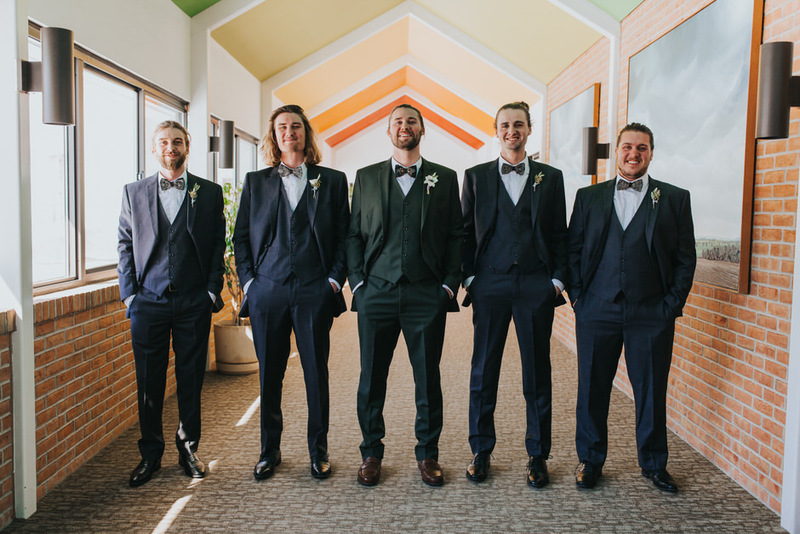 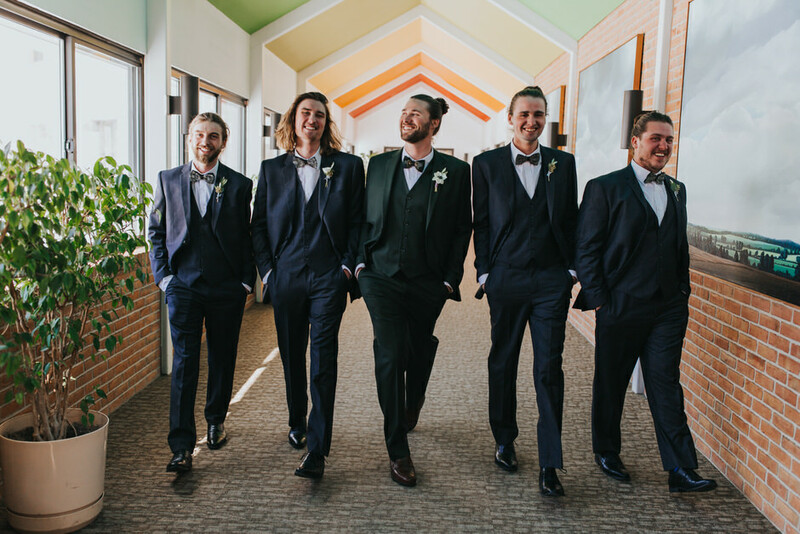 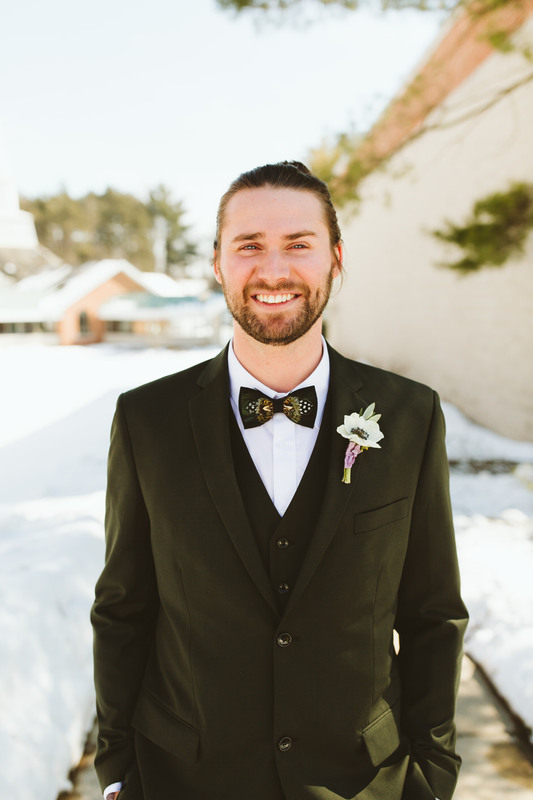 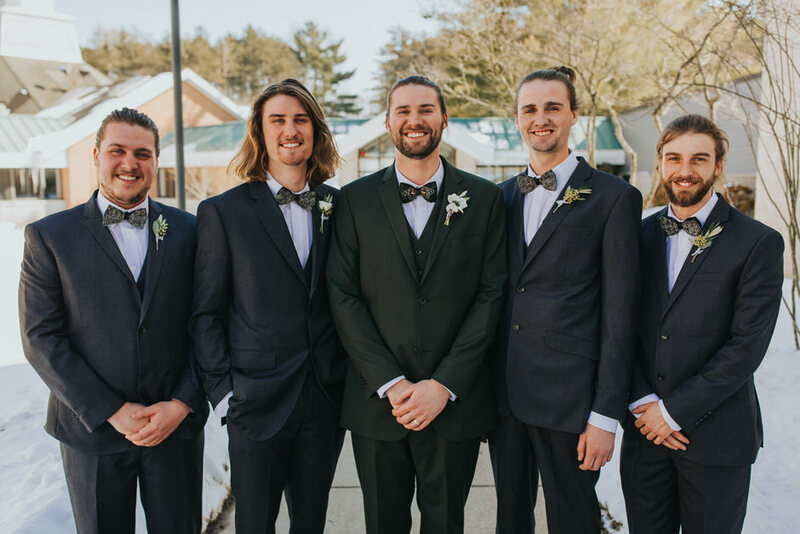 Josh doesn’t do anything in a traditional fashion, so naturally, he wanted a green suit. 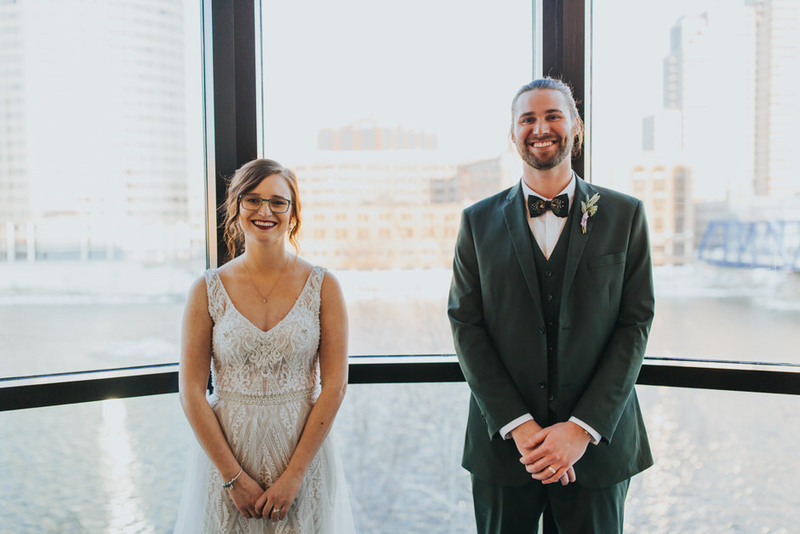 Turns out, that’s an incredibly hard color to find, but we had great luck at Woodland Tailoring in Grand Rapids. 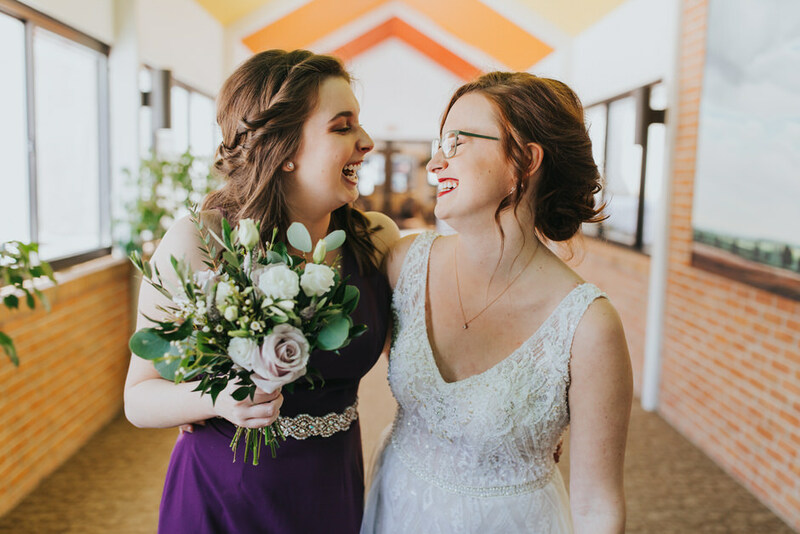 We think our laughing to crying ratio was on point. 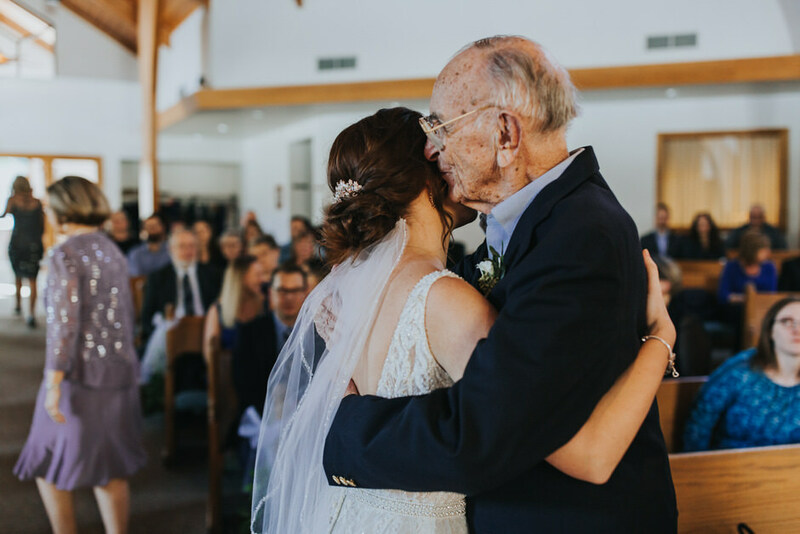 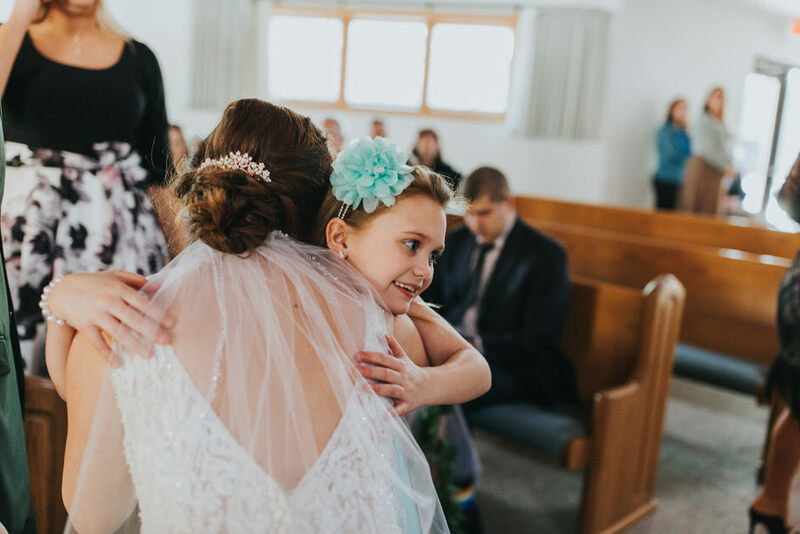 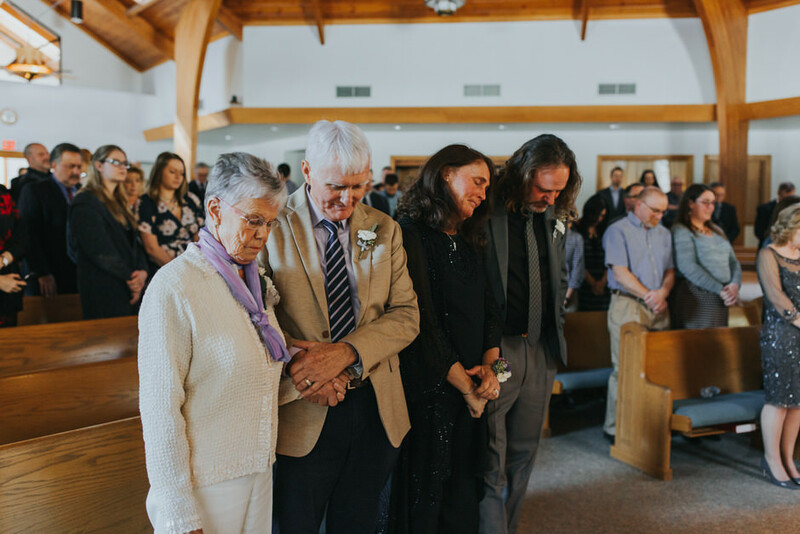 We don’t think either of us realized how emotional we would be and how incredibly awesome it felt to be surrounded by all the people who helped shape us into who we are today. 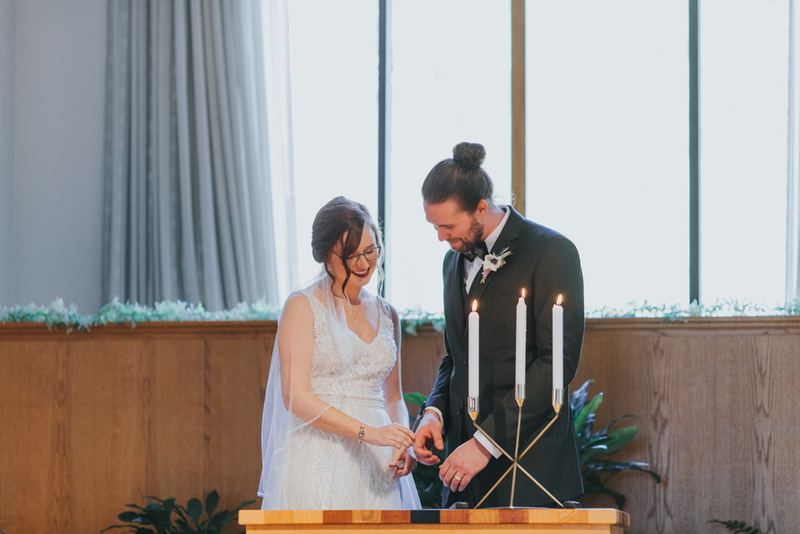 Our decor was all about simplicity. 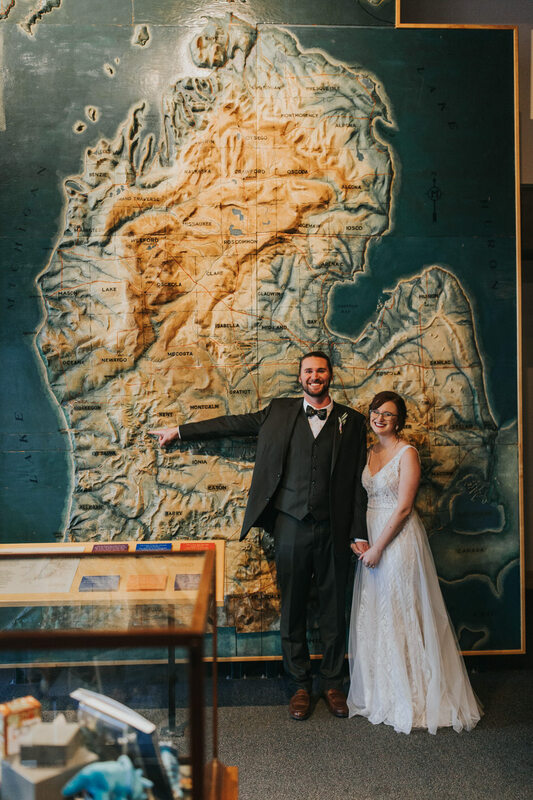 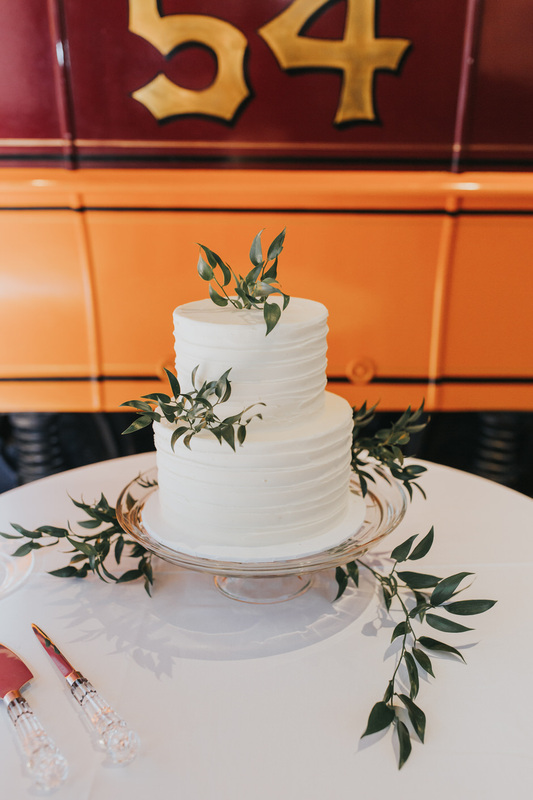 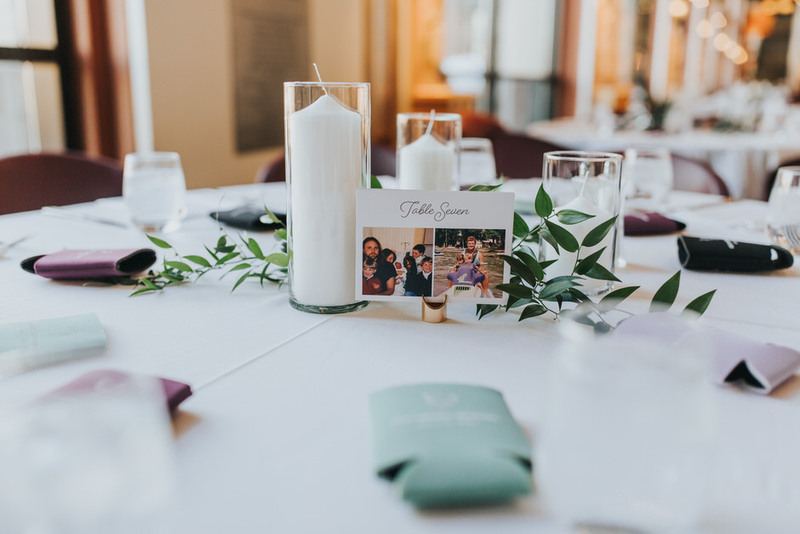 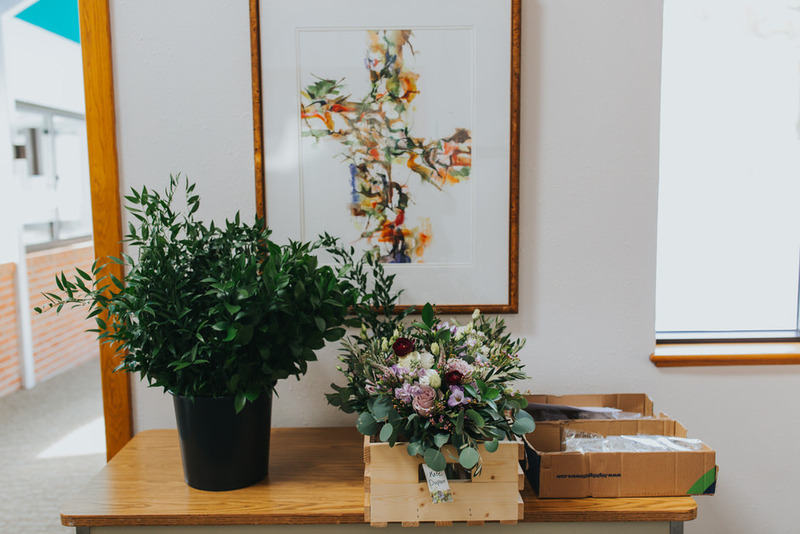 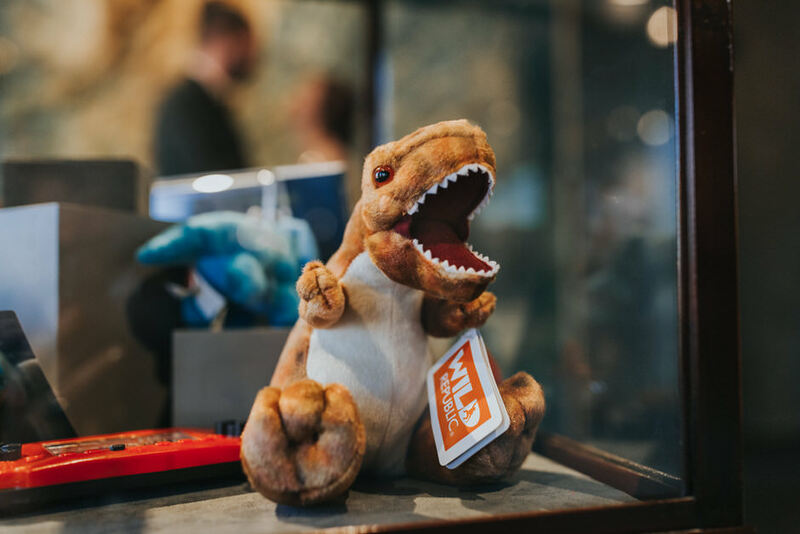 Since our venue was a museum, we didn’t want to compete with the space and wanted to keep our decorations to really simple and fresh. 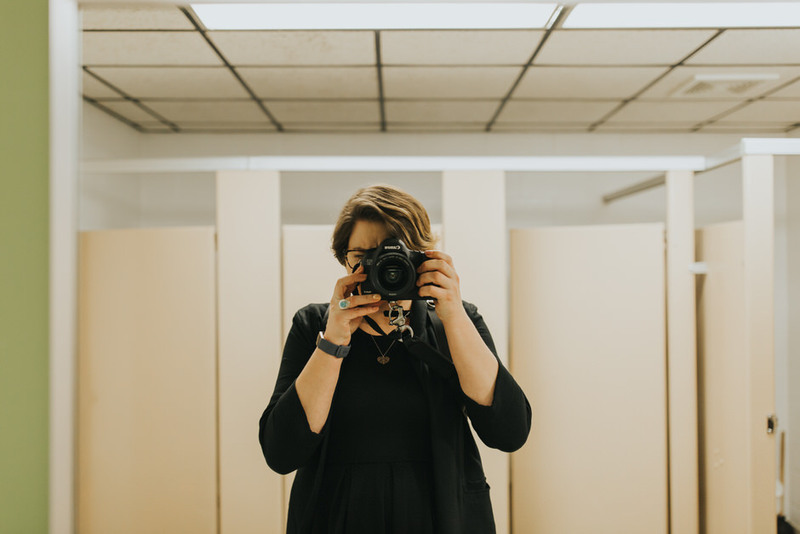 Rachel is fantastic, she feels like an instant friend which is just what you want in a photographer so you aren’t being uncomfortable and weird in all your photos. 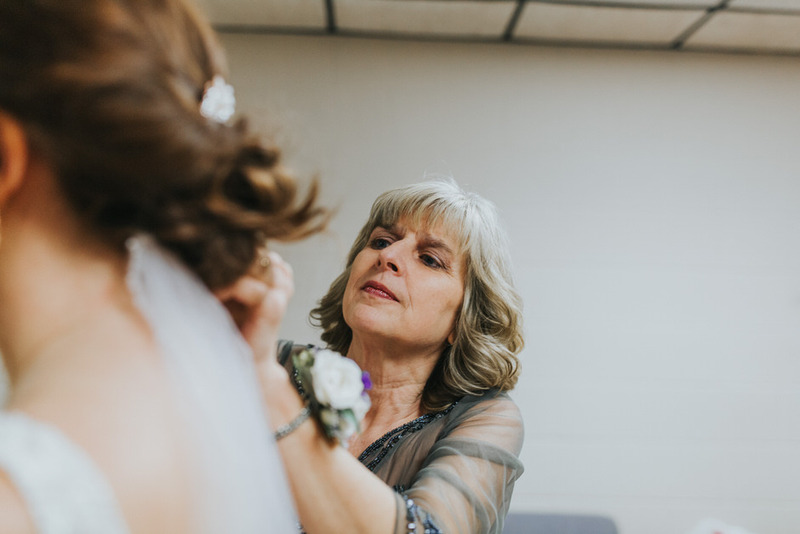 She handled our crazy family with ease and patience and made sure everyone was where they should be and having a great time. 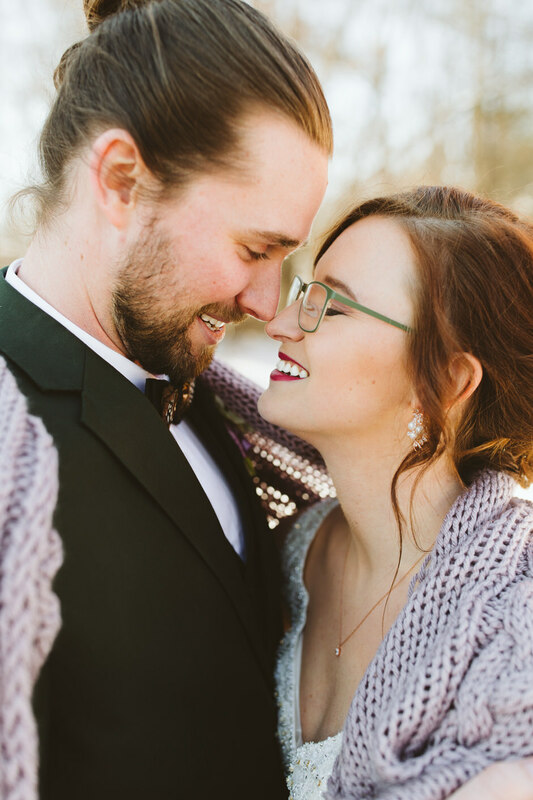 We loved how easy it was to talk, laugh, and have a good time with Rachel, not to mention her photos turn out gorgeous! 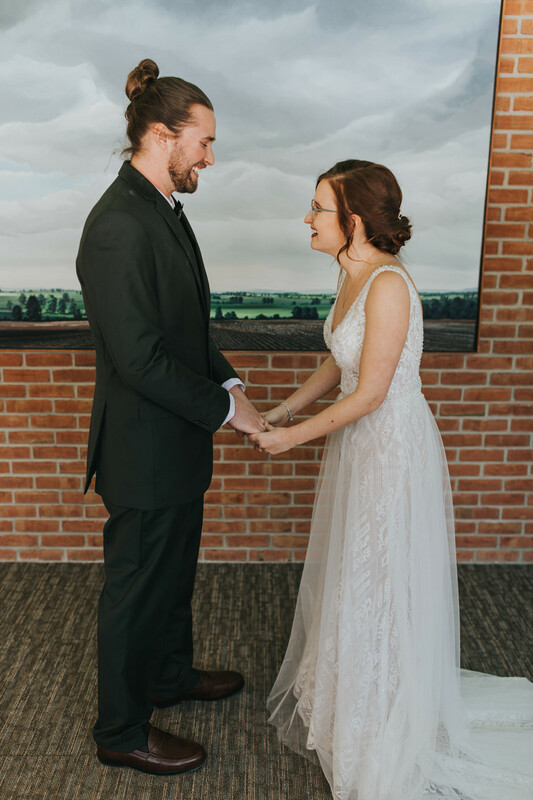 The reception was fantastic. 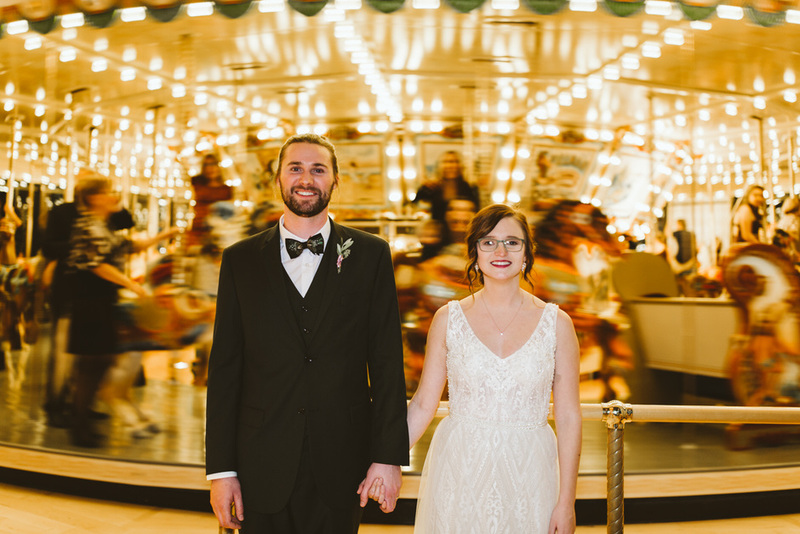 We ate, we took carousel rides, we laughed, and we enjoyed the company of our favorite people. 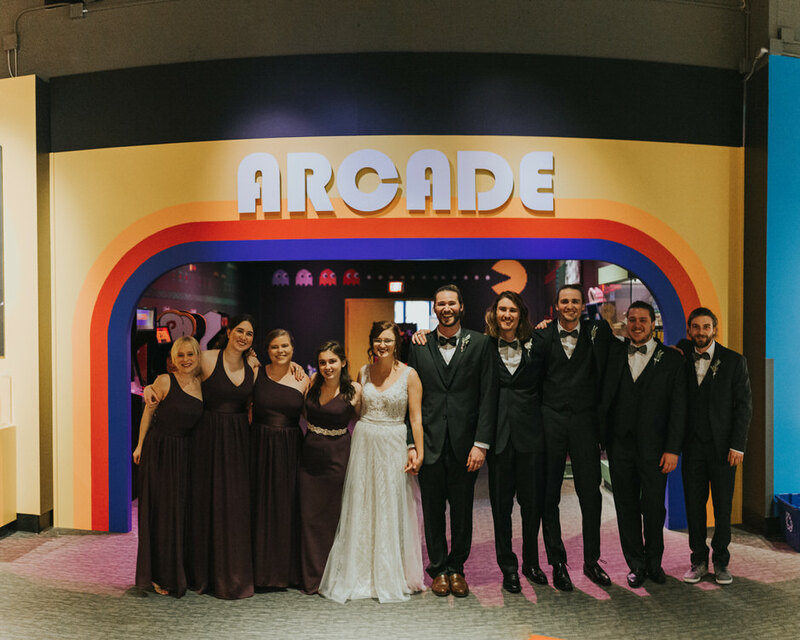 Post-wedding, we went bowling and we highly recommend everyone getting married bowls in their wedding dress/wedding suit. 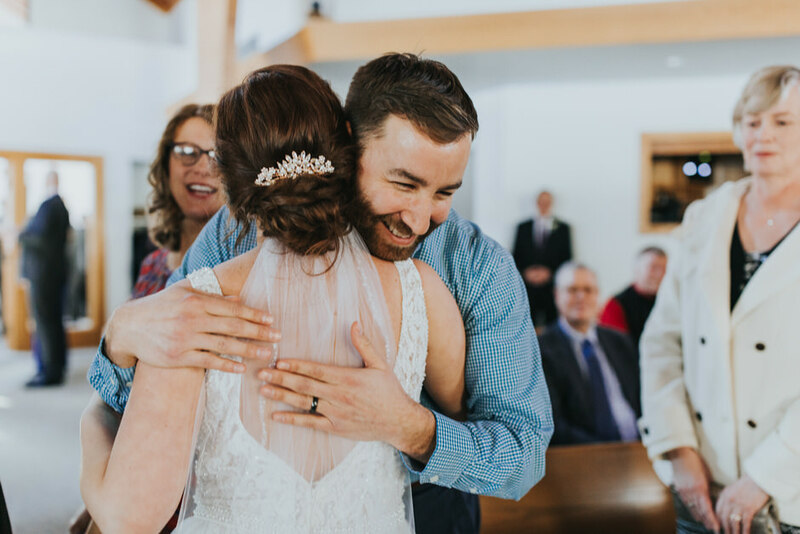 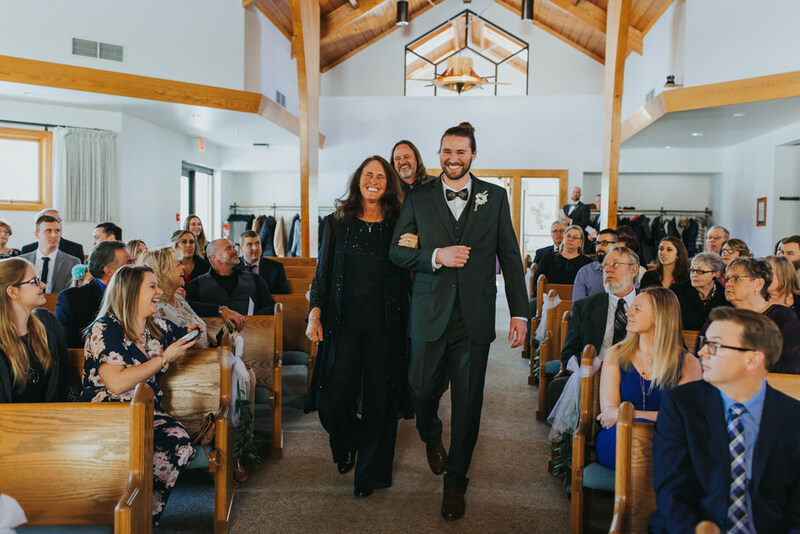 The most important thing is to remember that this whole shebang is about your marriage, not the one day you get to the party. 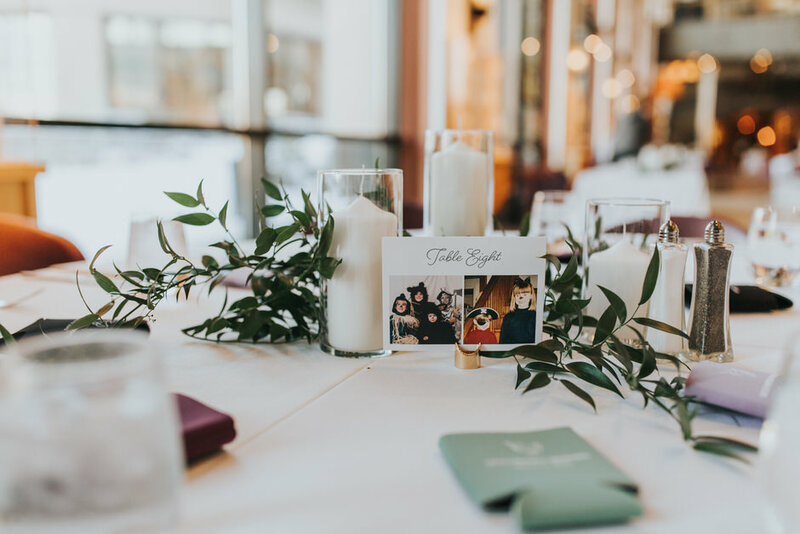 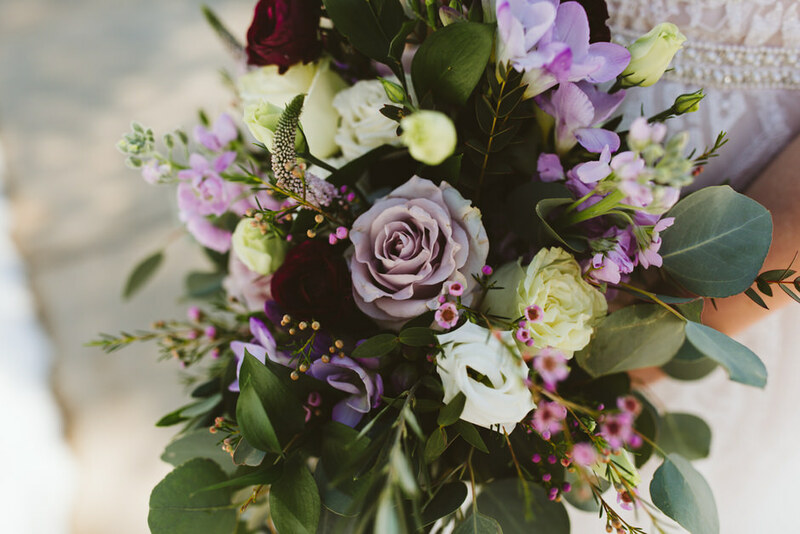 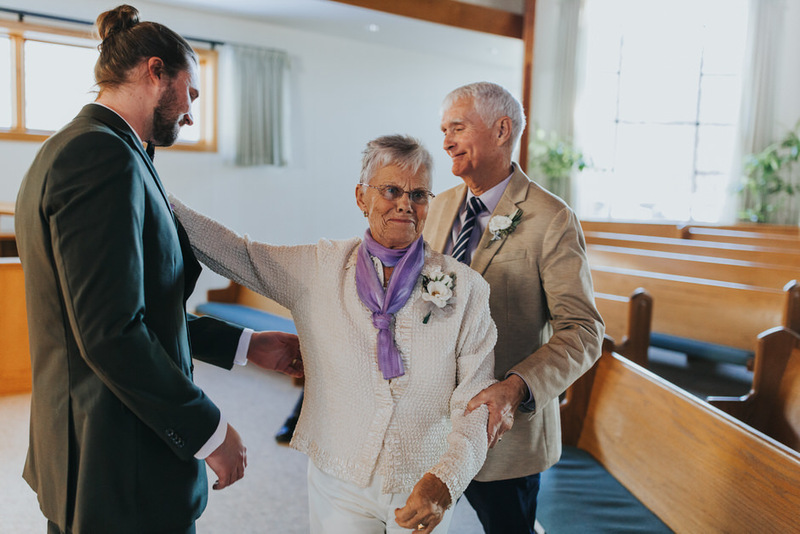 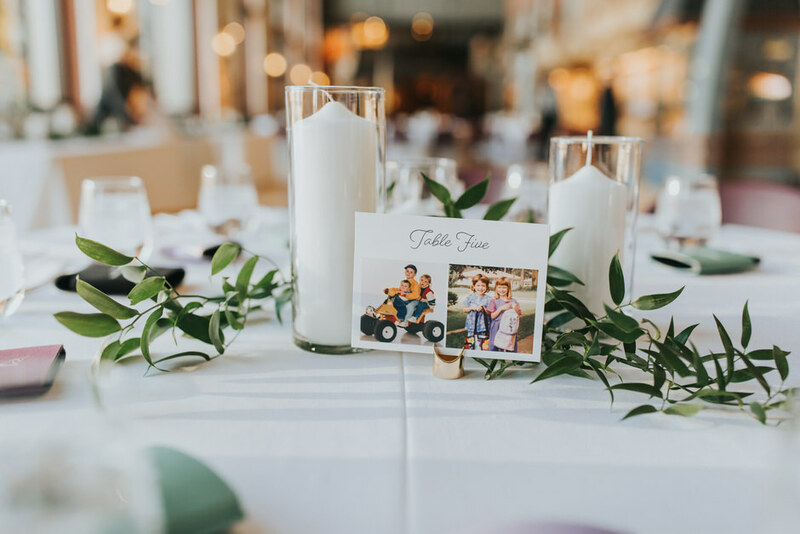 The wedding is great and it’s a fabulous way to share your love publicly with friends and family; but, at the end of the day if tables weren’t arranged quite right, or flowers were a little off, it doesn’t matter. 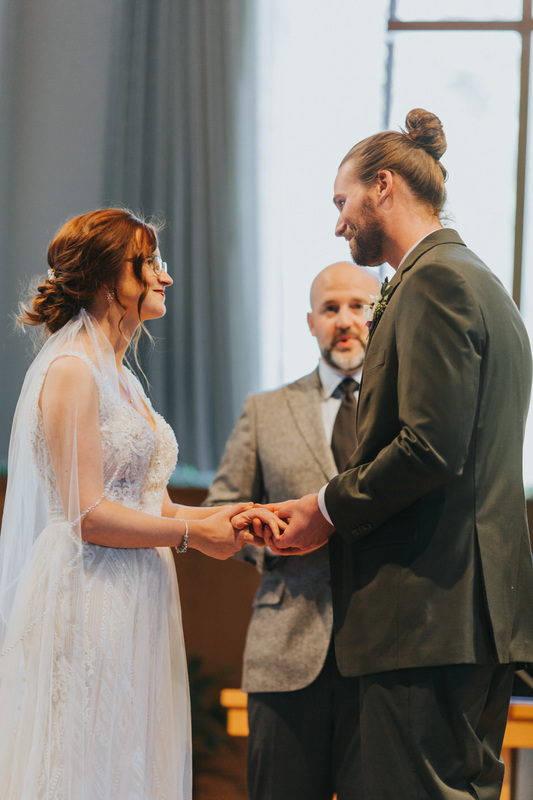 What matters is that you two found your person and you get to share this wonderful life together. 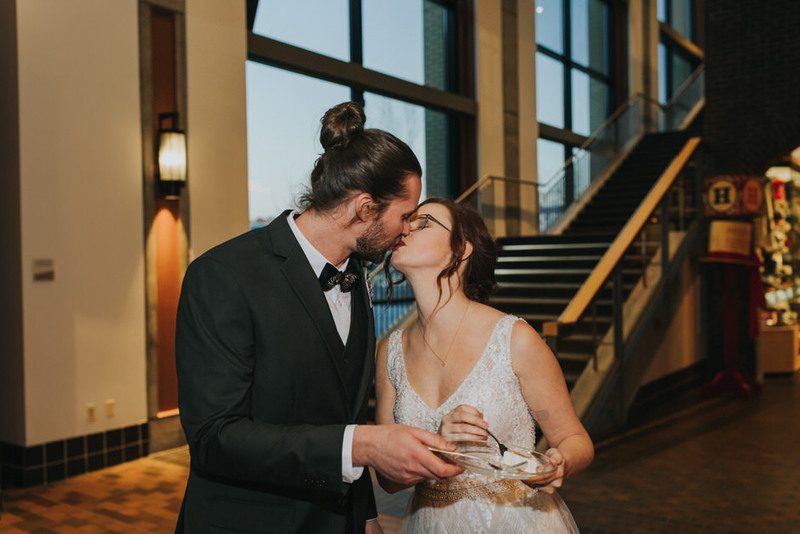 On a sanity note, we highly recommend having people you really really trust be your mistresses and mister of ceremonies, it helps so much to have people on your side who are dedicated to your day. 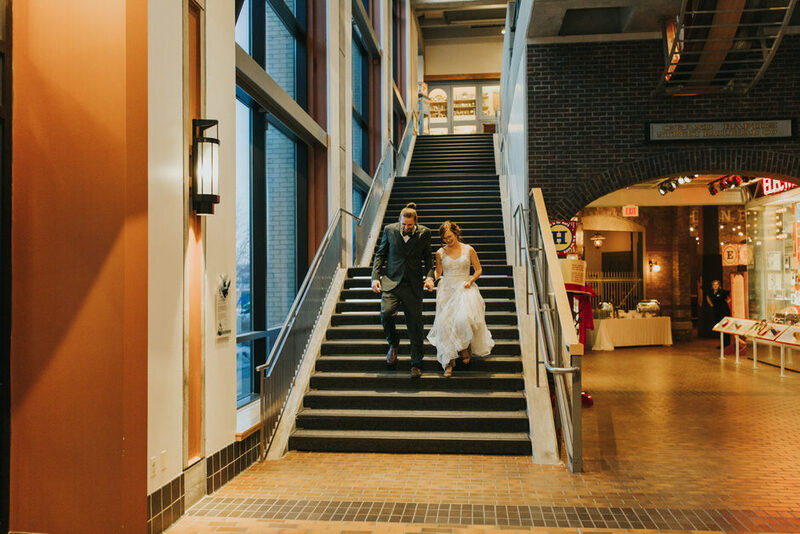 We also recommend finding a venue who is just as excited about your day, as you are, it really shows.